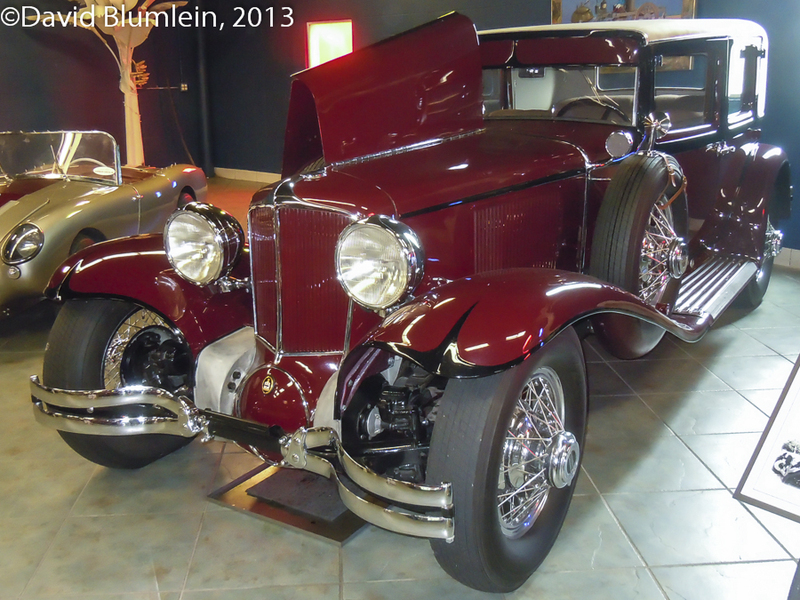 The recent trip to Florida concluded with a visit to the Tampa Bay Automobile Museum, a top notch affair. The Special Correspondent found much to appreciate and now brings us his latest ‘Rare and Interesting’ piece. 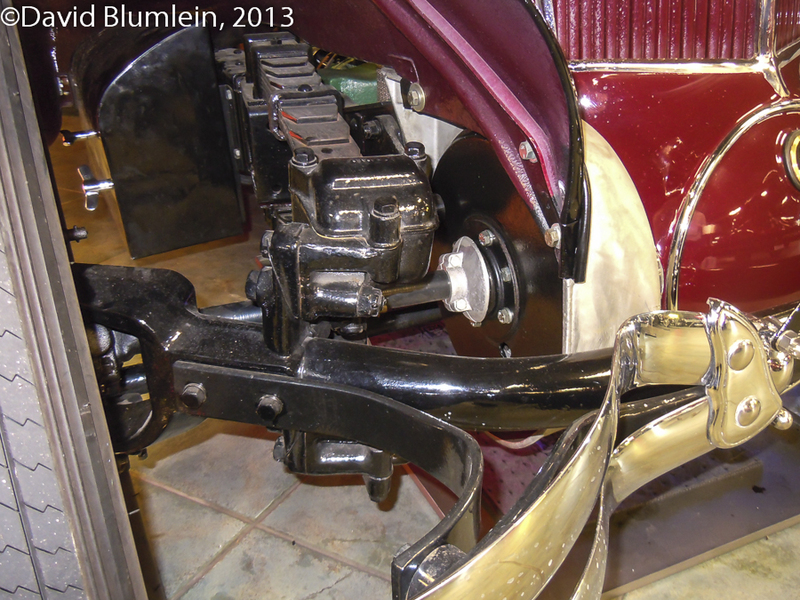 In 1939, this was changed to left-hand drive. Among its admirers was Léon Blum, leader of Front Populaire, who was to be seen frequently in Paris in his black example. This is another sleeve-valve car and in the 1920s Willys made more of these engines than all the rest of the world put together. This car has a 2.6-litre 6-cylinder engine. Jean Albert Gregoire was in 1927 the first to bring a front wheel drive car to the Le Mans 24 Hour race. The car pictured above ran at Le Mans in 1929 driven by Gregoire himself and Fernand Vallon and finished 10th overall while its teammate finished one place above and won the 1100c.c. class. 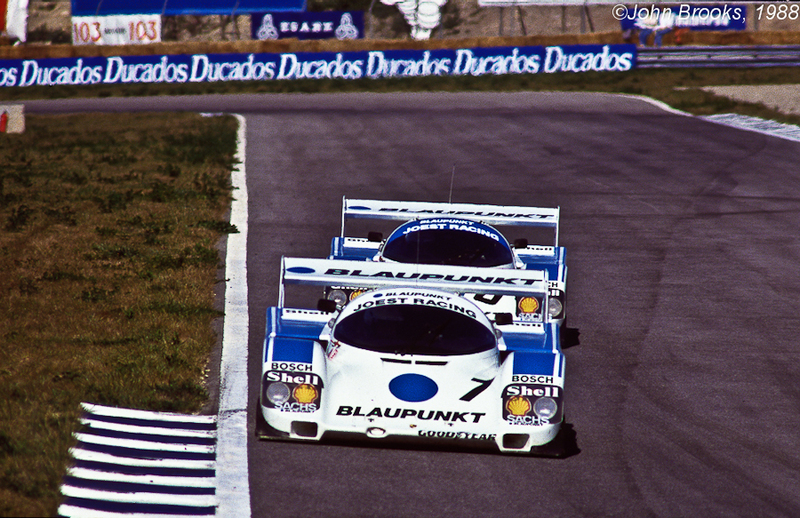 The two cars were powered by overhead valve SCAP engines of 985c.c. 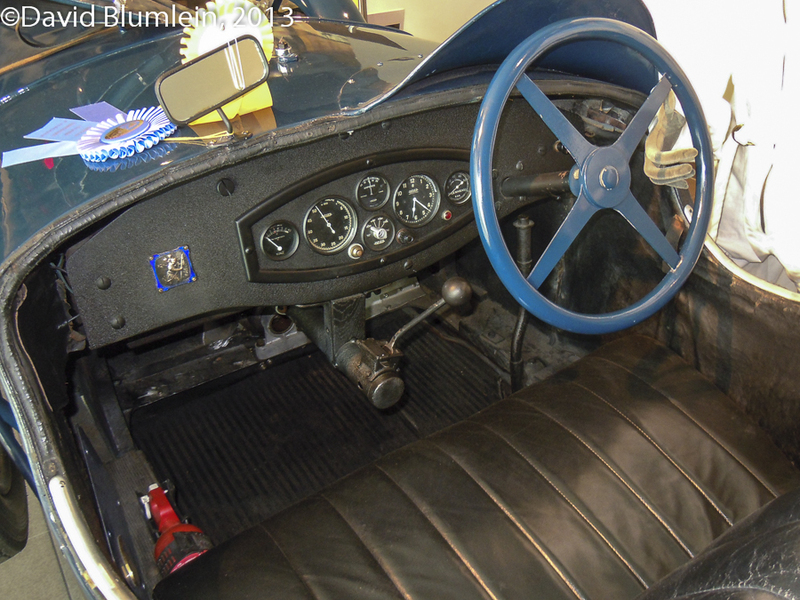 The cockpit of the Le Mans car which has bodywork by Duval. 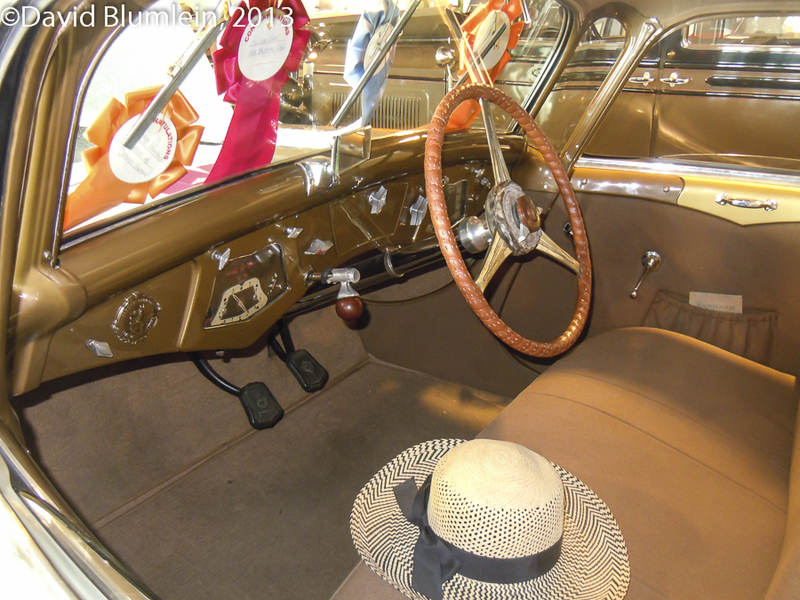 Notice the lovely little gear-lever with a gate which has to select the gears right down to the front of the car. In 1930-1931, Gregoire started making more luxurious saloons and coupés. This car has bodywork by Henri Le Moine and has a 6-cylinder Continental side-valve 2.7 litre engine driving the front wheels. 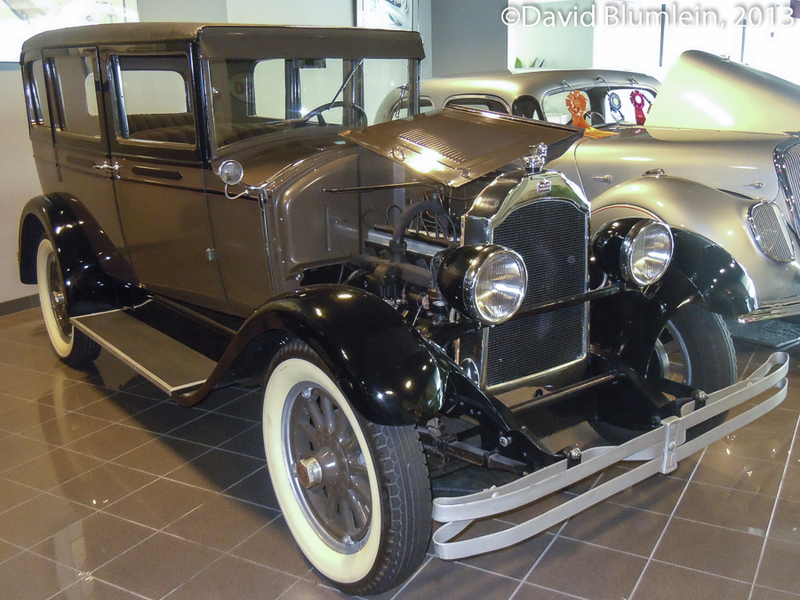 The car was introduced at the time of the Depression and only some 4,400 were sold. The front suspension is unusual in having two quarter-elliptic springs on each side, neatly keeping out of the way of the drive-shafts. 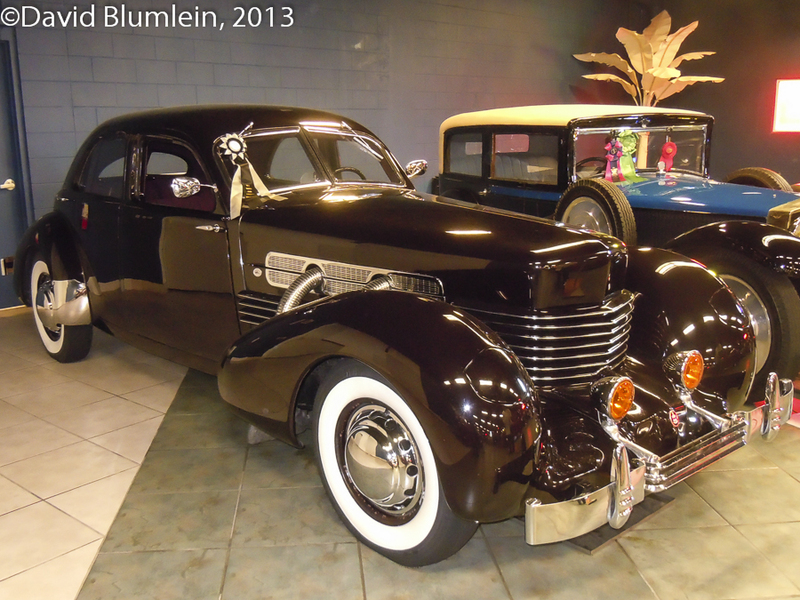 In 1935 Cord introduced this aerodynamic car designed by Gordon Buehrig. 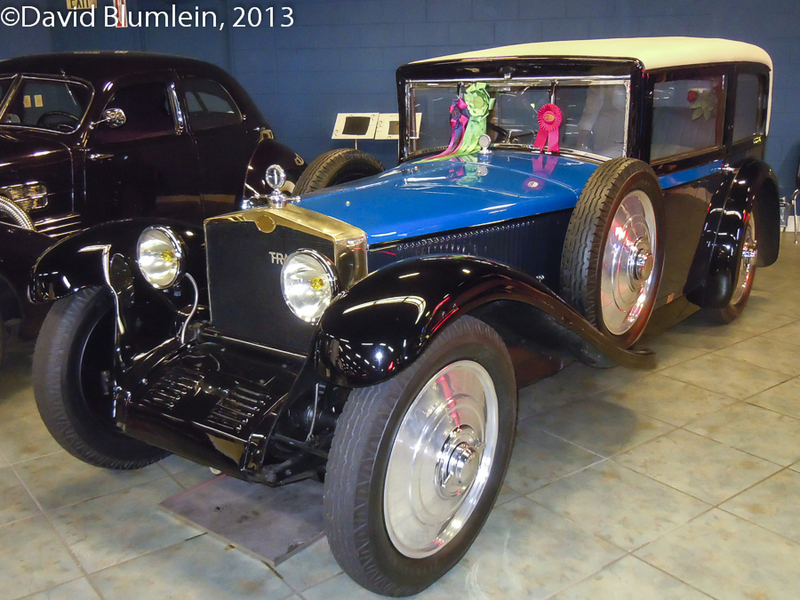 It has a “coffin nose” which houses a specially made V8 Lycoming engine driving the front wheels and, advanced for the time, pop-up headlights. If a supercharger were fitted, it became the 812. Problems with the electro-vacuum transmission and other delays caused sales to drop off and the car was very expensive. Just under 3000 had been made before production ceased in August 1937. Not many enthusiasts will be familiar with an in-line four 2-stroke! The Aero must not be confused with the Czech Aero Minor which was based on a JAWA design. Amilcars, like Salmsons, were the typical small French sports cars of the 1920s and both companies began to make bigger touring cars in the following decade. 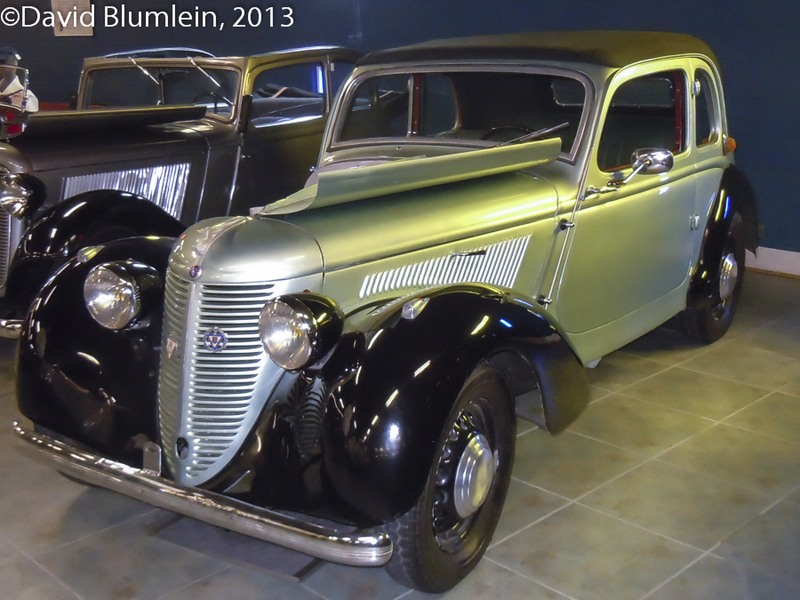 In 1937 Amilcar was taken over by Hotchkiss who engaged Jean Albert Gregoire to design a light car for them. This was the Compound which had unitary construction in Alpax alloy, all independent suspension with transverse leaf spring at the front, torsion bars at the rear and rack and pinion steering. 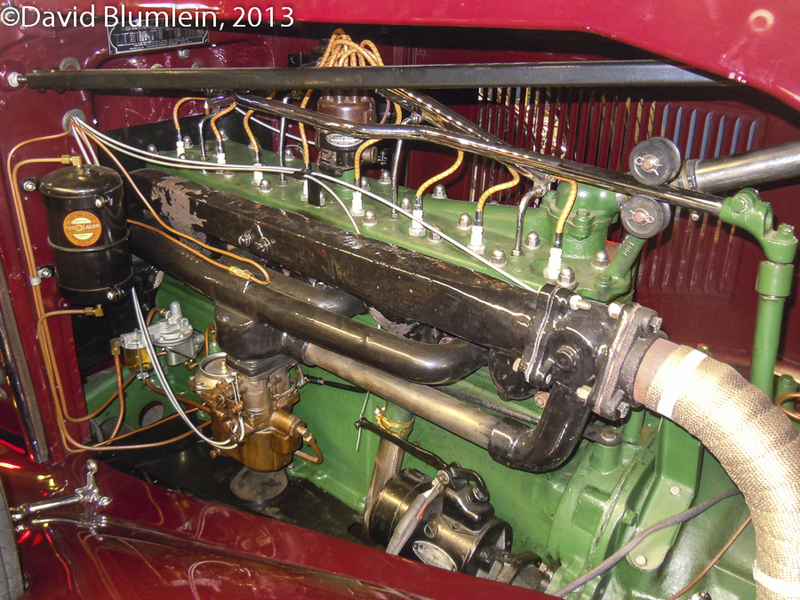 The engine was a 4-cylinder side valve of 1185c.c. which naturally drove the front wheels! In 1939 it acquired overhead valves but the war intervened and less than 900 Compounds were made all told. These V8s were the last Derby cars to be produced. 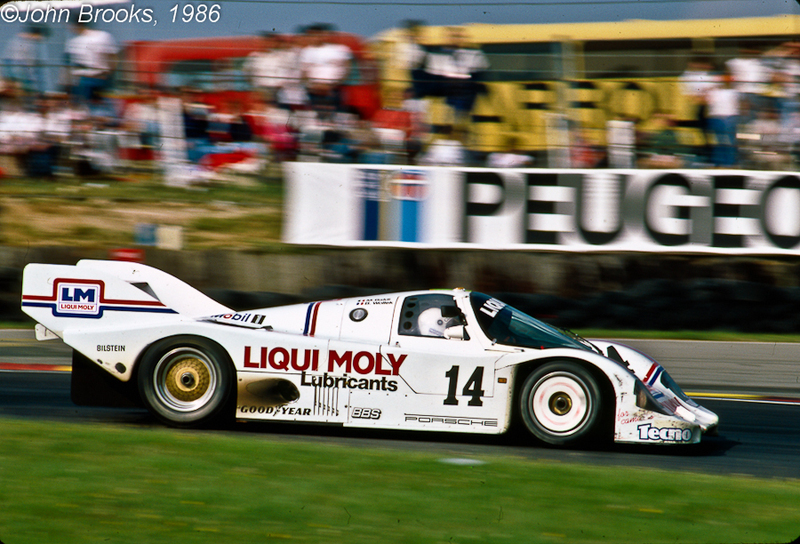 The Lepicard designed cars had engines with side inlet valves and exhaust overhead valves driving the front wheels. 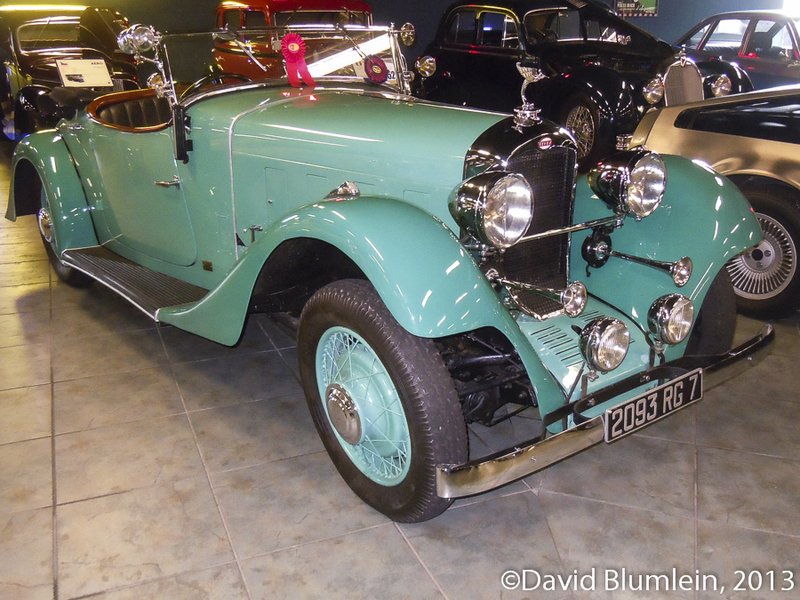 This roadster has a body called “Montlhéry” and was used by Gwenda Stewart in the 1934 Monte Carlo Rally. 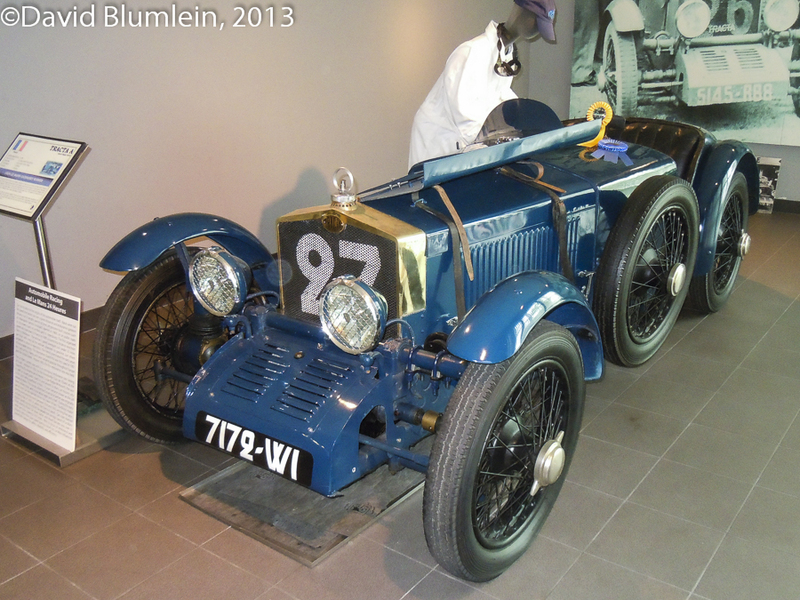 Two V8 Derbys ran unsuccessfully at Le Mans in 1934 and a single further entry also retired in 1935. Fearing in August 1914 that their Saint-Denis factory would fall into enemy hands as the Germans advanced towards Paris, Hotchkiss decided to set up a works in Gosford Street, Coventry where they began in 1915 to build machine guns for the Allied war effort. After the cessation of hostilities, the company started to mass produce engines for William Morris and launched a V-twin air cooled 1080c.c. engine of their own which went on to power the B.S.A. Ten car. 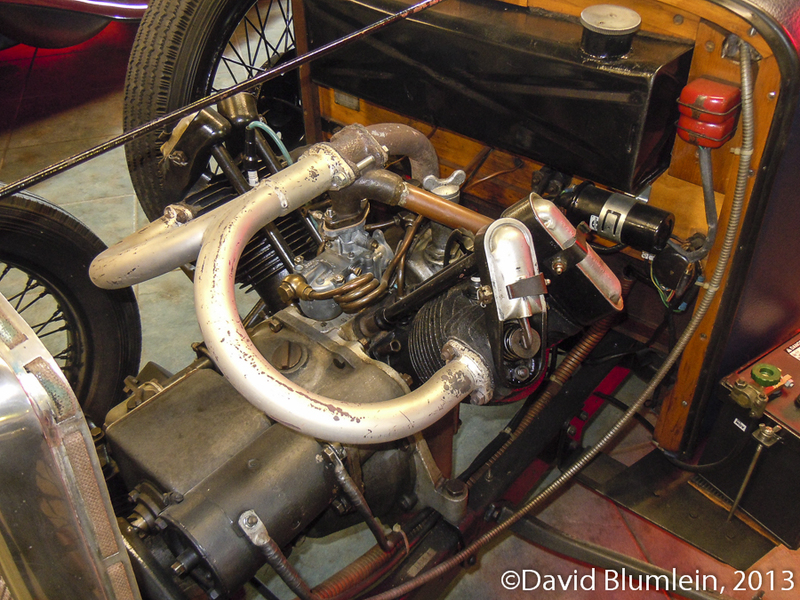 This engine was successfully tried out in an old Morris Oxford chassis which was run in the 1921 Land’s End Trial where it won a Gold Medal. In 1923 William Morris bought the whole Hotchkiss factory and changed it into Morris Engines. However, B.S.A. were given the licence to carry on producing the engine for their cars. 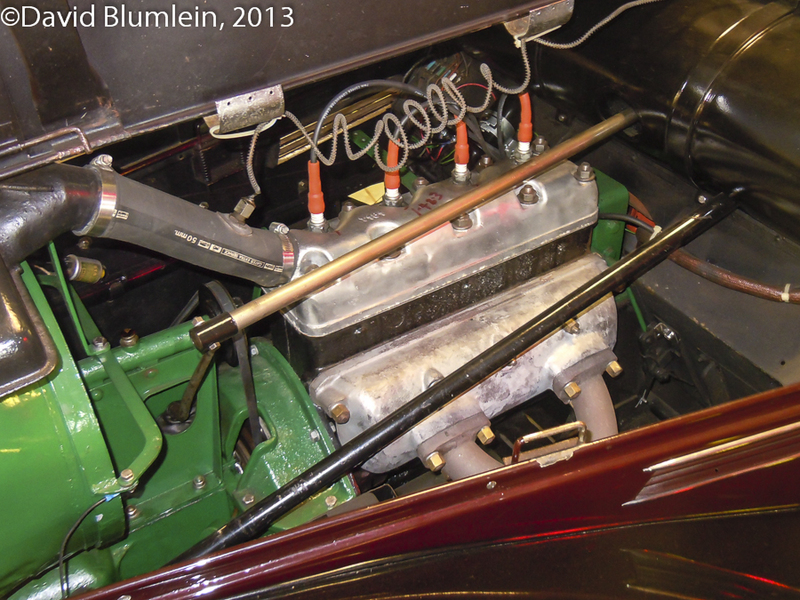 The above picture illustrates one such engine in a B.S.A. three-wheeler. 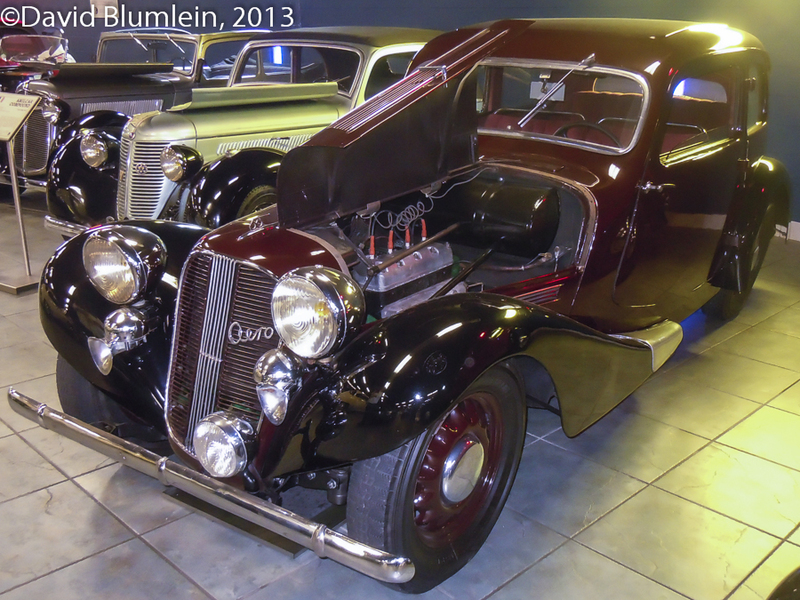 This entry was posted in From A Special Correspondent, Rare and Interesting and tagged Aero Type 50, Amilcar Compound, BSA, Cord 812, Cord L-29, Derby V8, Hotchkiss, Panhard Dynamic, Tampa Bay Automobile Museum, Tracta A, Tracta E, Willys-Knight Model 56 on March 27, 2013 by John Brooks. 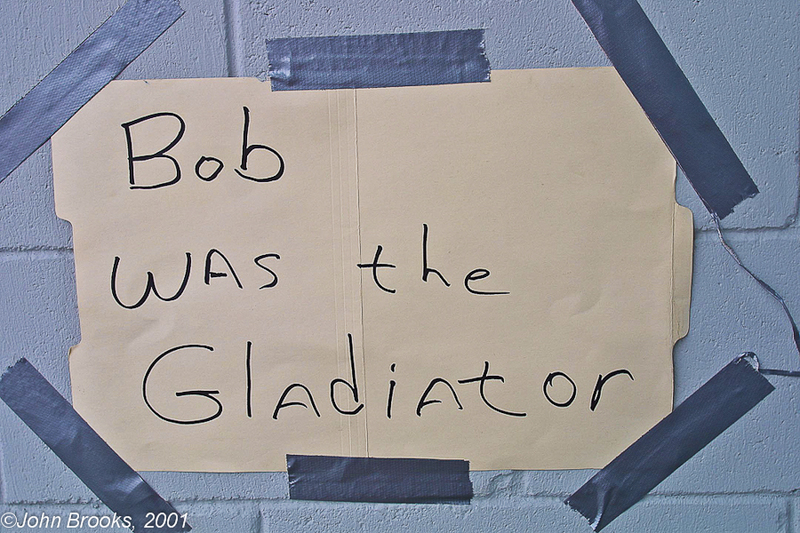 This entry was posted in Brave New World, Notes from the Cellar, The Blink of An Eye and tagged NASCAR, Sebring on March 21, 2013 by John Brooks. Sebring is good excuse to meet up with old friends and for me none was more important than hooking up once more with Kerry Morse, a sort of “putting the band back together”. Yesterday he sent me the above image, a reminder of the first ALMS race back in 1999, it all seems so far away now, another century. Will we ever see such times again? 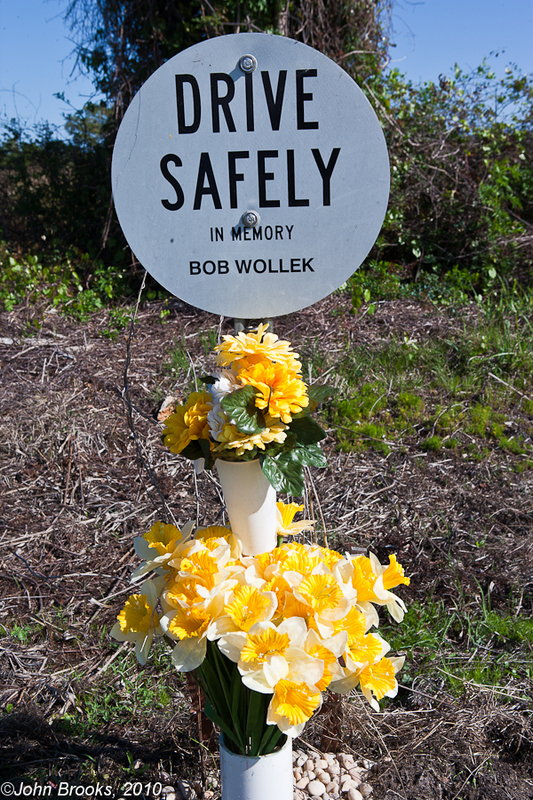 This entry was posted in The Blink of An Eye and tagged Champion Racing, Kerry Morse, Ozymandias, Percy Bysshe Shelley, Porsche Boxster, Sebring on March 20, 2013 by John Brooks. 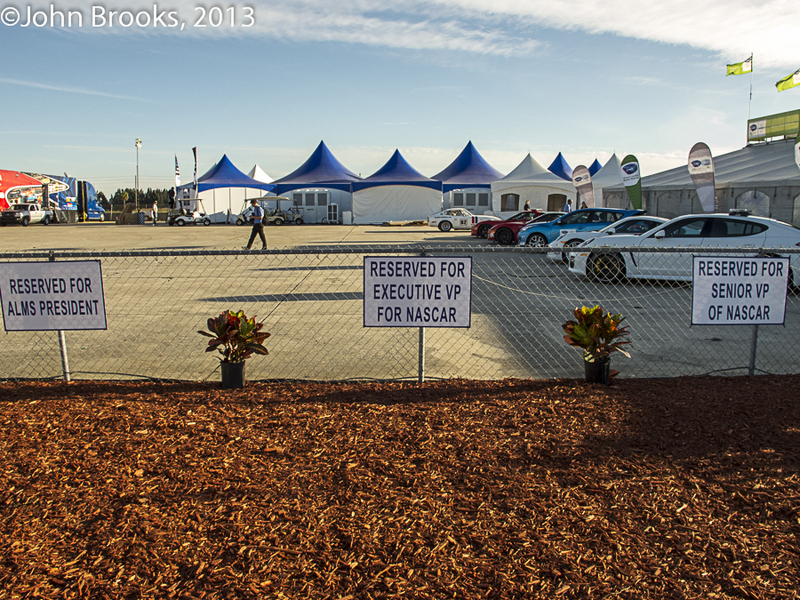 It has been all go here at DDC Towers, Sebring last week and the Geneva Motor Show the week before. So catching our breath before press censorship is introduced here in the UK, we have the reflections of our Special Correspondent on the Swiss Show. 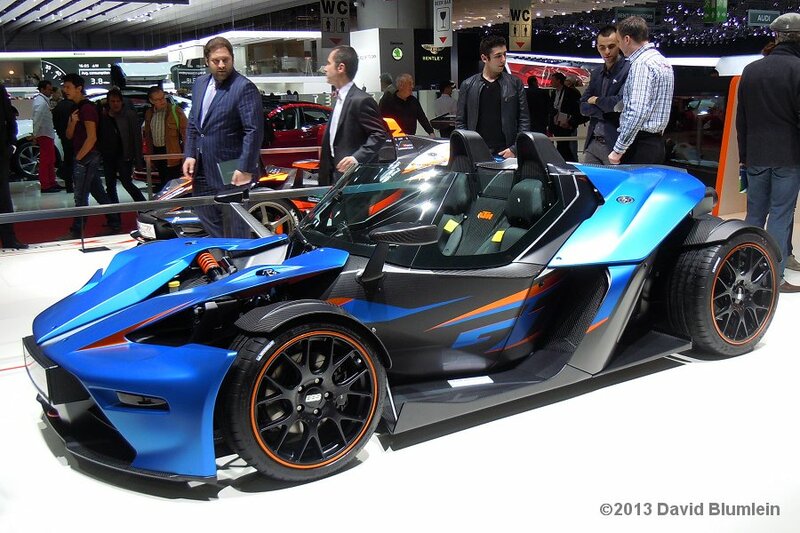 The Geneva Motor Show has grown to become one of the most important international automotive exhibitions in the world. It started in 1905 at a time when Switzerland was very reluctant even to embrace the coming of the motor car, setting speed limits of just 3-7 m.p.h. and introducing a law which forbade the use of motor vehicles on Sundays! Yet the show achieved world status by 1934 and in 1952 had toppled Brussels as the most important European event of its kind. Switzerland was thus an open free market par excellence and we find the big players often opting to launch their new models at Geneva which traditionally takes place in the early Spring, the time when the new comes to life. 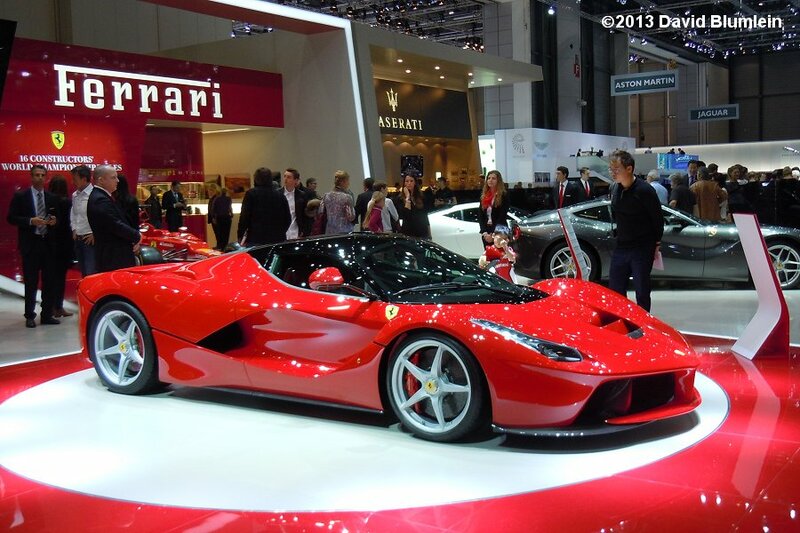 LaFerrari is Maranello’s successor to the Enzo. It is a petrol-electric hybrid with a combined 950 b.h.p. available, using a 6.2-litre V12 and 7-speed transmission driving the rear wheels. One electric motor supplies 161 b.h.p. to the wheels ; the other is used to power the ancillaries. They are charged by braking or from excess torque from the engine. Only 499 are to be made. 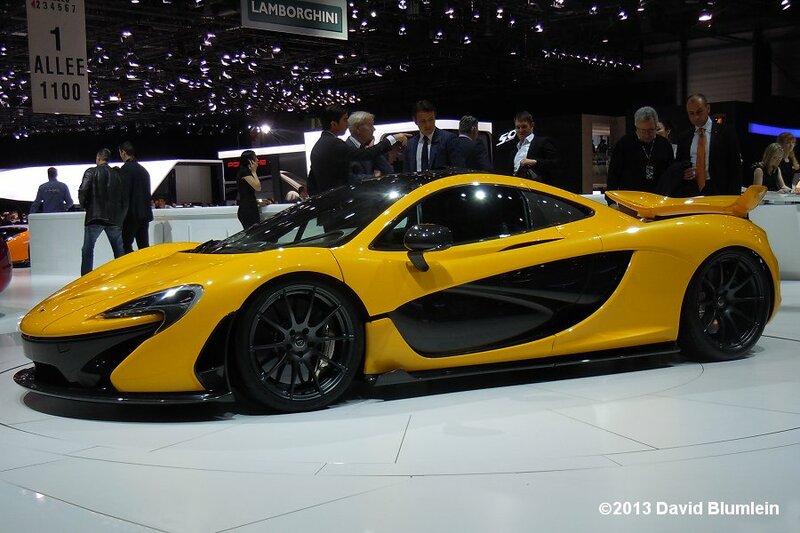 We saw the McLaren P1 first at the Paris Salon but this is the production version. It too is a petrol-electric hybrid, its twin-turbo 3.8-litre V8 contributing 727 b.h.p. to a combined output of 903 b.h.p. Just 375 cars are due to be constructed. 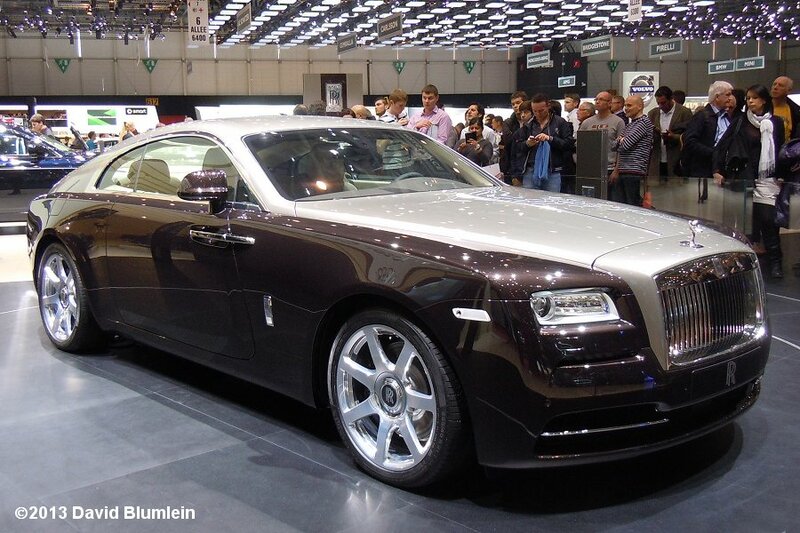 The new Rolls-Royce Wraith is the most powerful Rolls ever made. It has a 624 b.h.p. 6.6-litre V12 propelling it to a 0-60 m.p.h. 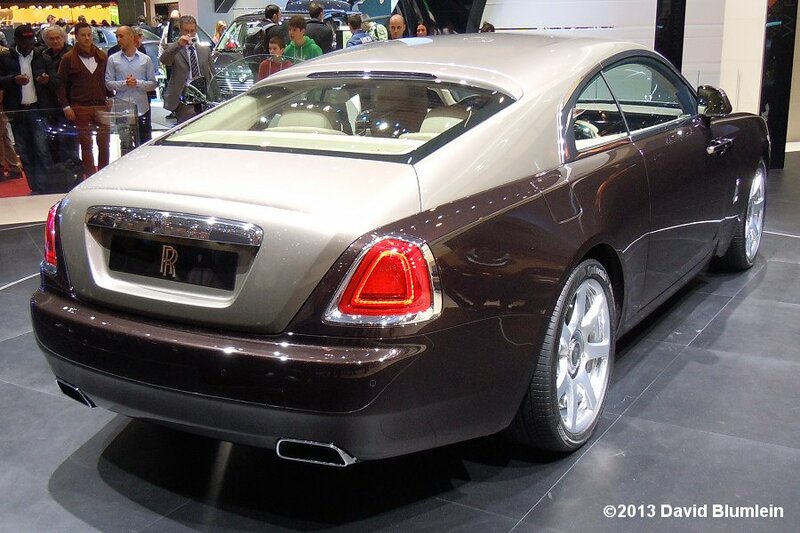 time of 4.4 seconds, although Rolls-Royce do not see the car as a particularly sporting model. The name recalls a car the company made before the war. 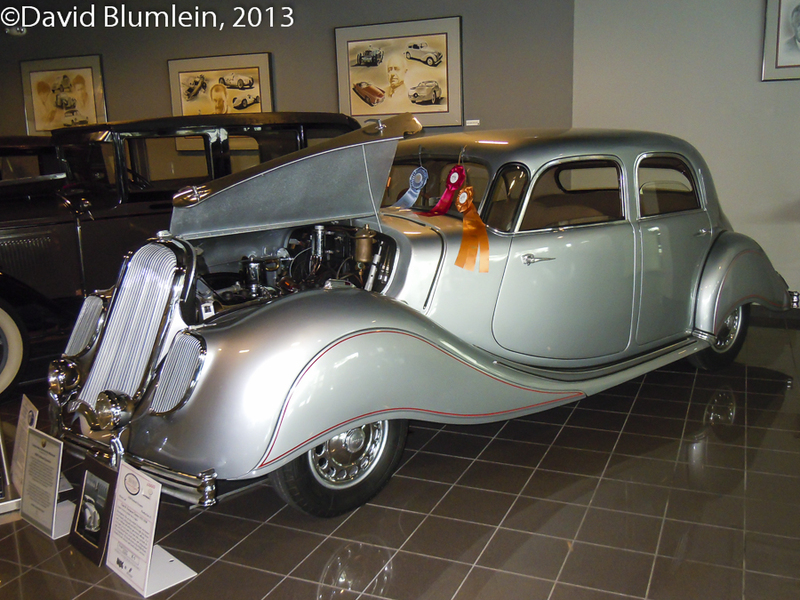 The original Wraith was introduced in 1938 as a replacement for the entry-level 20/30 model and used a straight-6 o.h.v. engine but production was curtailed by the outbreak of hostilities. Its successor, the Silver Wraith, had the overhead inlet/side exhaust engine found in the early cars made in the newly adapted Crewe factory. This new model has a shorter wheelbase and a wider rear track than its related Ghost and development work was carried out at the Nürburgring – notice the front opening doors! 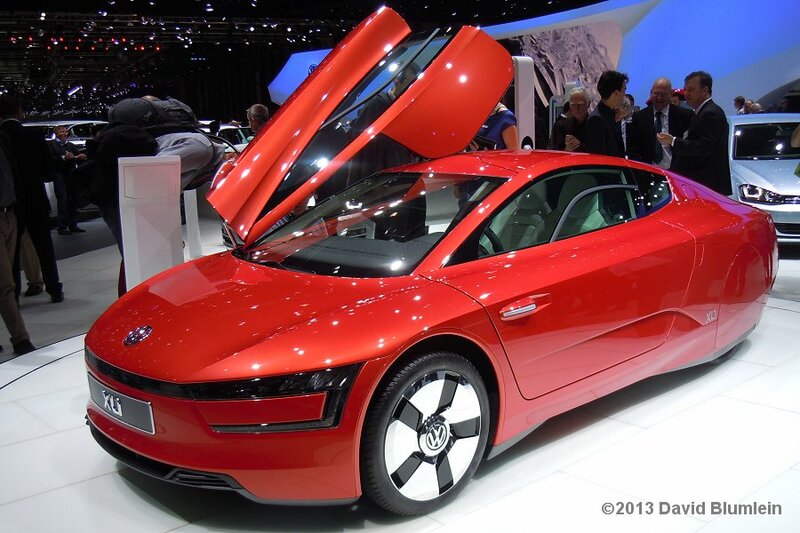 Volkswagen’s amazing XL1 – 340 m.p.g. from an 803 c.c. 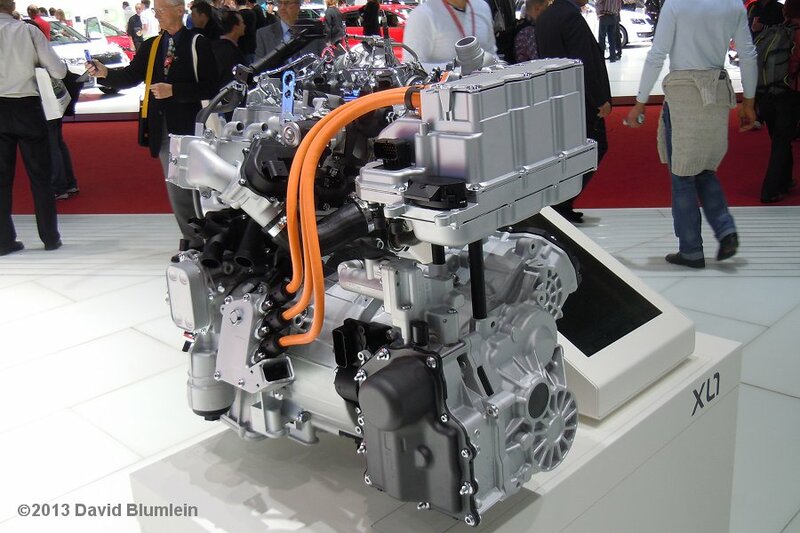 turbo diesel and a 230-volt lithium-ion battery! The story started when Ferdinand Piech ordered the development of a “one litre” car, implying 100 km from 1-litre of fuel. A carbon-bodied, tandem-seat single-cylinder prototype was created which Piech drove in 2003 from Wolfsburg to Hamburg at an average fuel consumption of 317.4 m.p.g. and a speed of 43.5 m.p.h. Further development, including replacing the impractical tandem-seating with a conventional side-by-side arrangement, has yielded this impressive result which boasts a drag co-efficient of only 0.189! The car’s 2-cylinder engine which is effectively half of a Polo’s 1.6-litre turbo diesel. 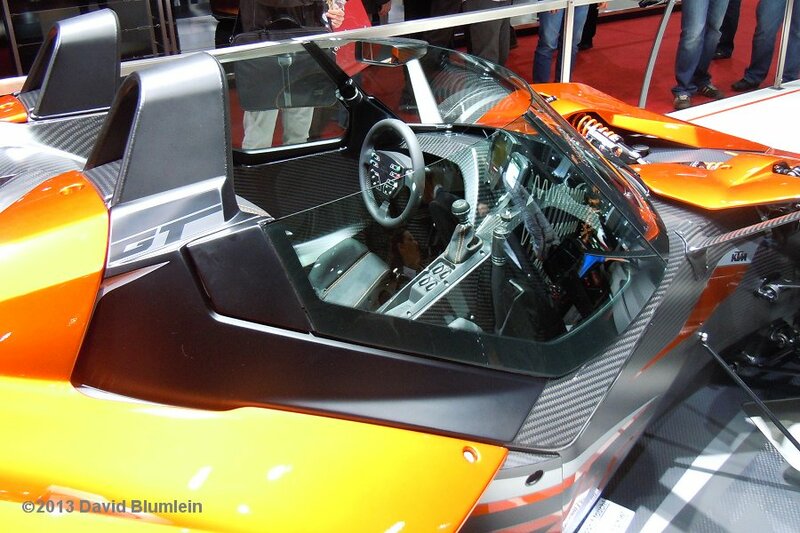 The Austrian KTM X-Bow, introduced here five years ago, has finally acquired some doors, side-windows and a windscreen to become the X-Bow GT. The wipers, screen-wash and heated glass are optional extras! 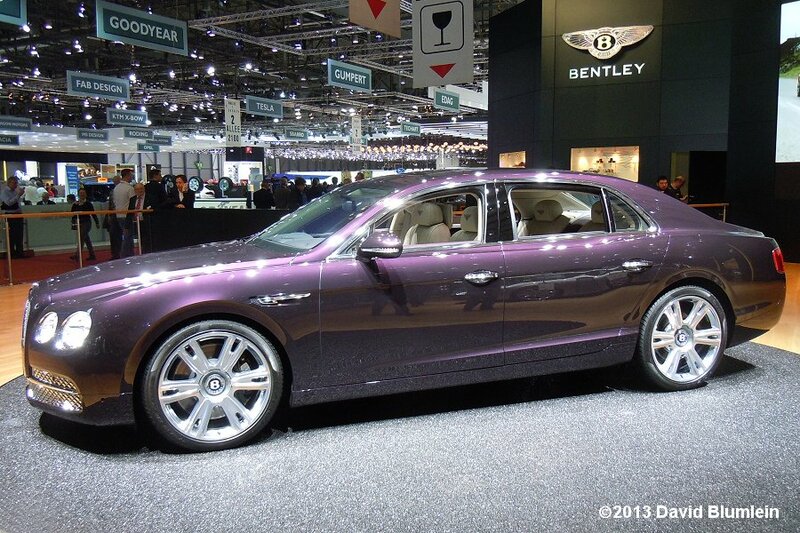 The Bentley Flying Spur may look similar to its predecessor but the aluminium and steel body is completely new. The car is powered by a 6.0-litre W12. Two years after it appeared at Geneva in concept form, the Alfa Romeo 4C is now ready for production. It has a 1.8-litre 4-cylinder turbo, delivering 240 b.h.p. to the rear wheels via a paddle shift. 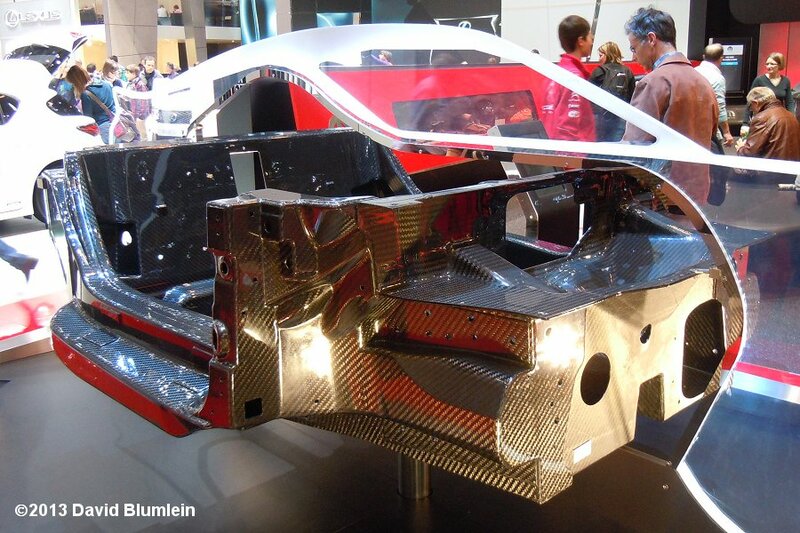 This is its carbon-fibre tub. 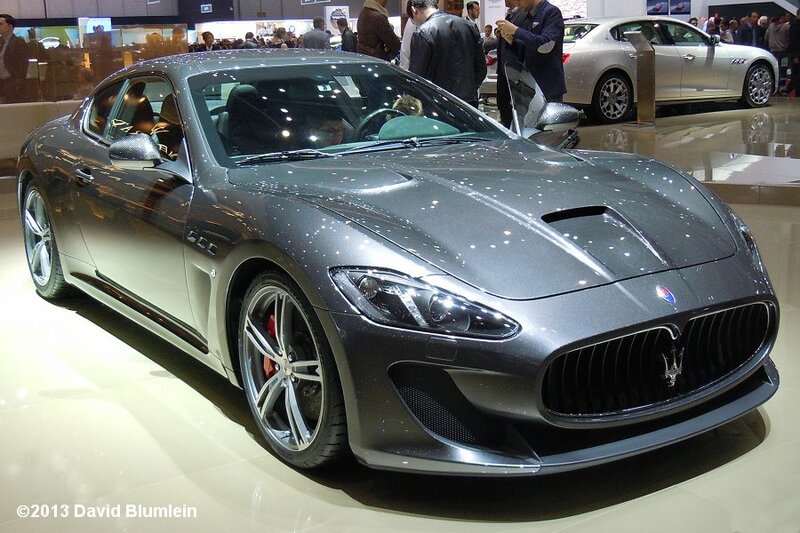 The car will be built by Maserati in Modena. Maserati has come up with a 4-seater version of its GranTurismo MC Stradale where the two rear seats replace the roll-cage. 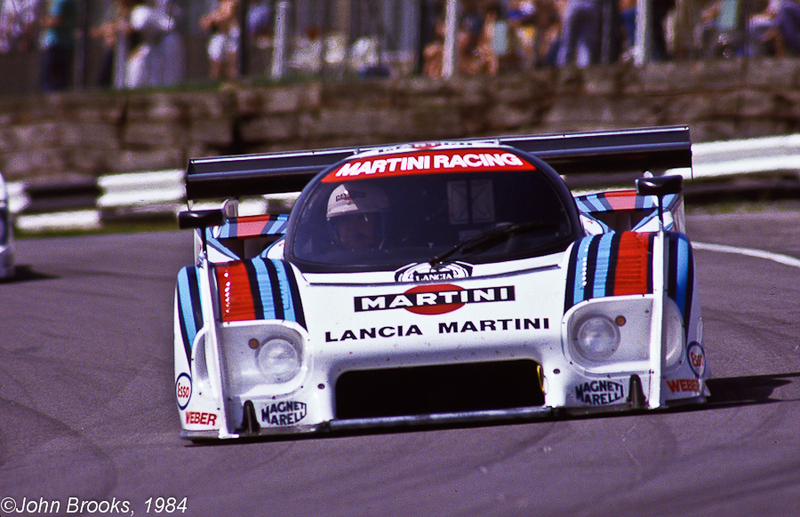 Carbon-fibre is used for some of the bodywork, for example the bonnet which now has an airscoop. 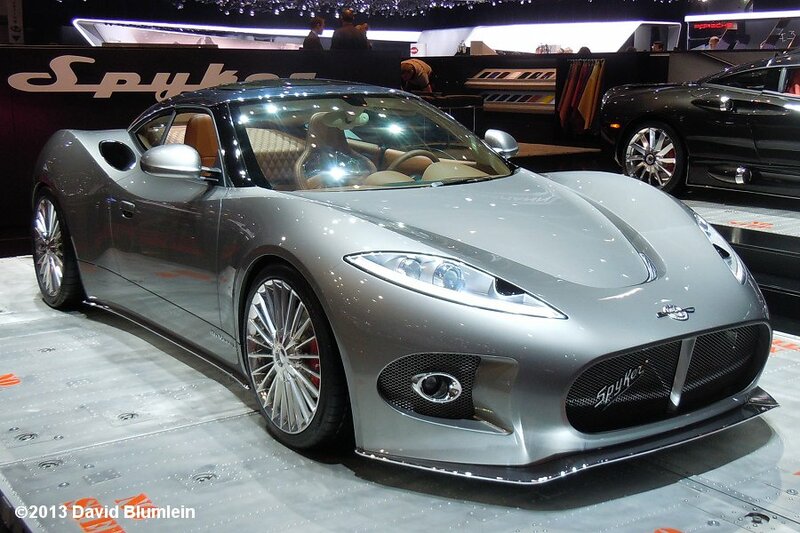 The Spyker name re-appeared at Geneva with this B6 Venator concept which has a mid-mounted V6 375 b.h.p. engine driving the rear wheels. 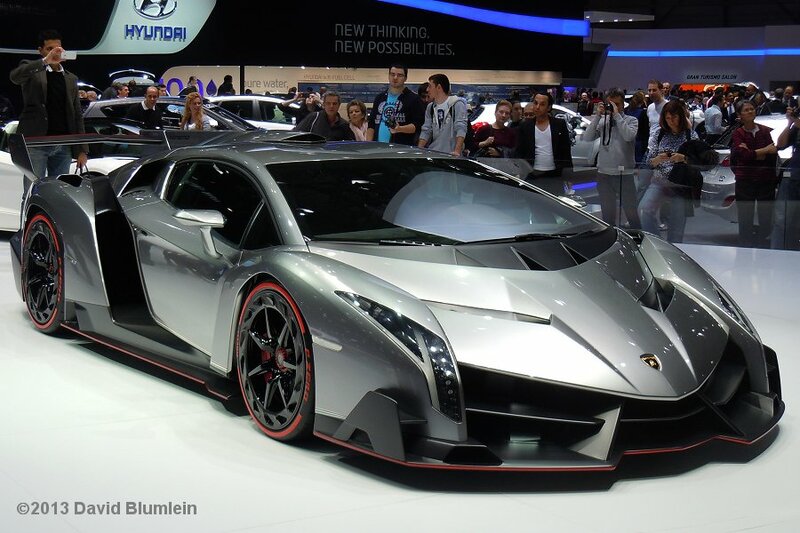 Lamborghini celebrated its 50th anniversary with this Veneno model based on the Aventador. The design focuses on aerodynamic efficiency and the chassis and outer skin are formed from carbon-fibre re-inforced composite materials. It also has four-wheel drive and racing style pushrod suspension. Only three are expected to be made. 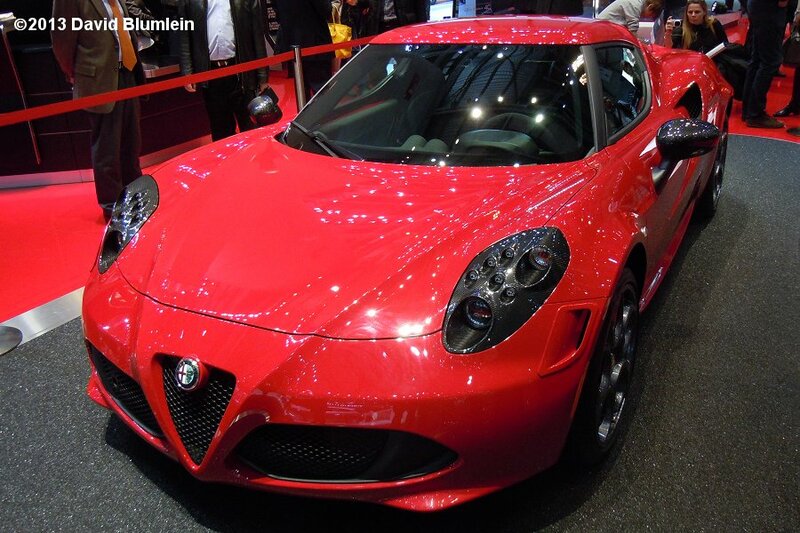 This entry was posted in From A Special Correspondent, Rare and Interesting and tagged Alfa Romeo 4C, Bentley Flying Spur, Geneva Motor Show, KTM X-Bow GT, LaFerrari, Lamborghini Veneno, Maserati GranTurismo MC Stradale, McLaren P1, Rolls-Royce Wraith, Spyker B6 Venator, Volkswagen XL1 on March 19, 2013 by John Brooks. 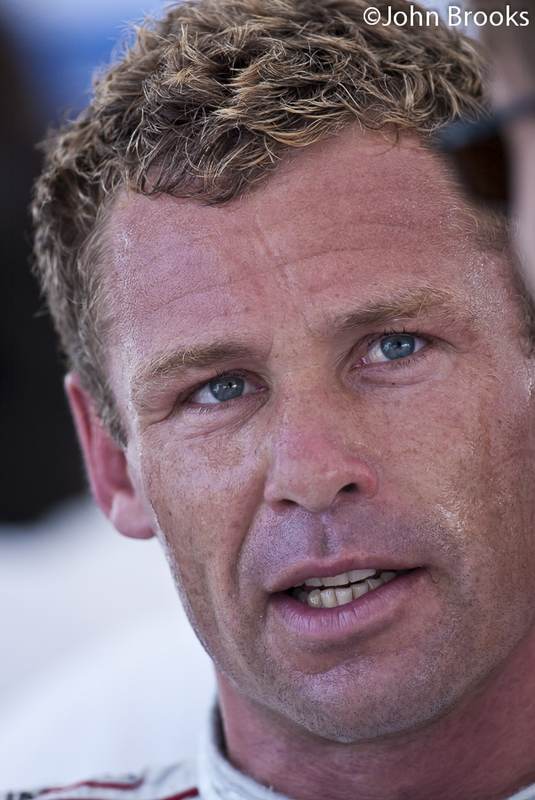 Tom Kristensen has been at the head of the endurance racing grid for the past 15 years, since he burst on to the scene by winning the Le Mans 24 Hours at his first attempt in 1997. 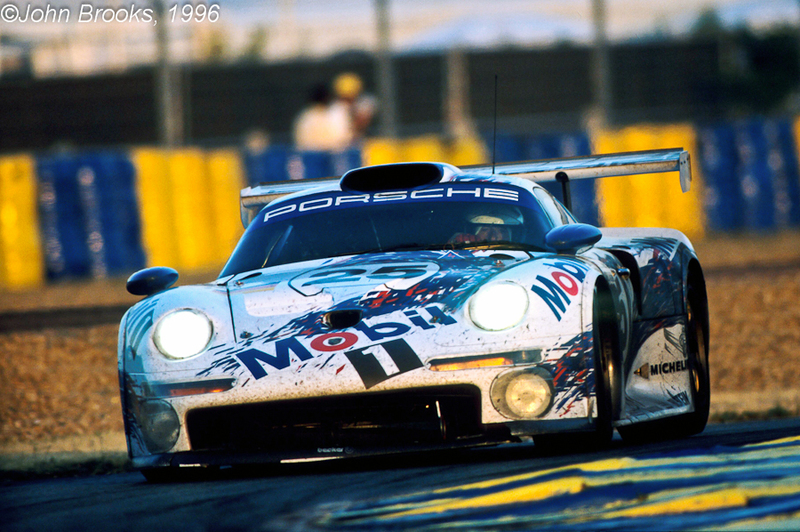 That famous victory in the Joest Porsche led to a factory drive with BMW the following year and that led the Dane to Sebring in 1999. 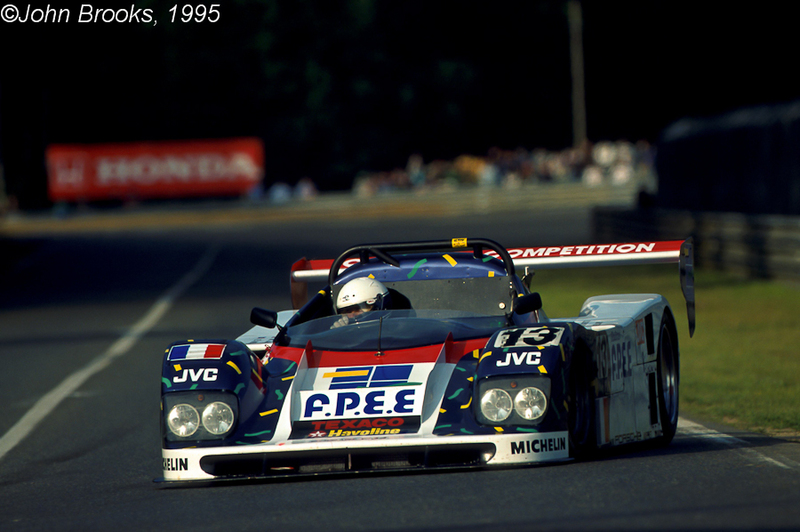 Tom has gone on to score a record further seven wins at La Sarthe and to many he is known as ‘Mister Le Mans’. However a good proportion of the temporary population of Highlands County each March would claim that another nickname would be more appropriate, Mister Sebring. So why is that so? Let’s find out what Tom thinks himself. 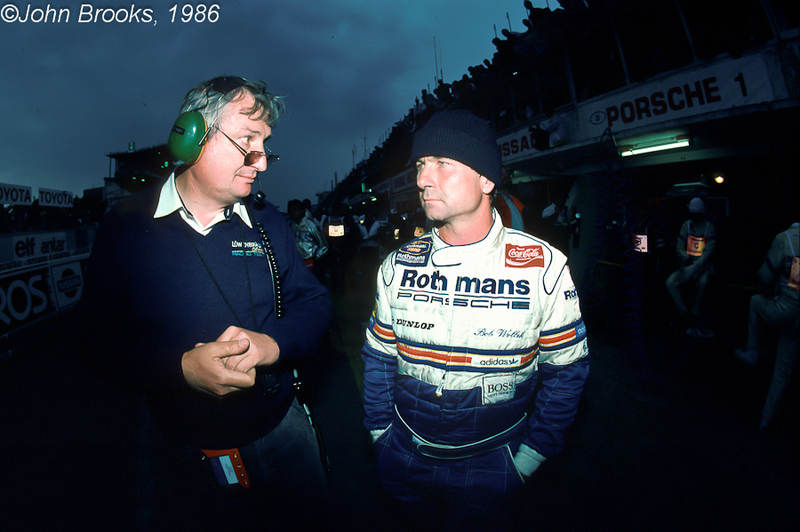 Recently I caught up with Tom and discussed with him his experiences at America’s greatest sportscar race. 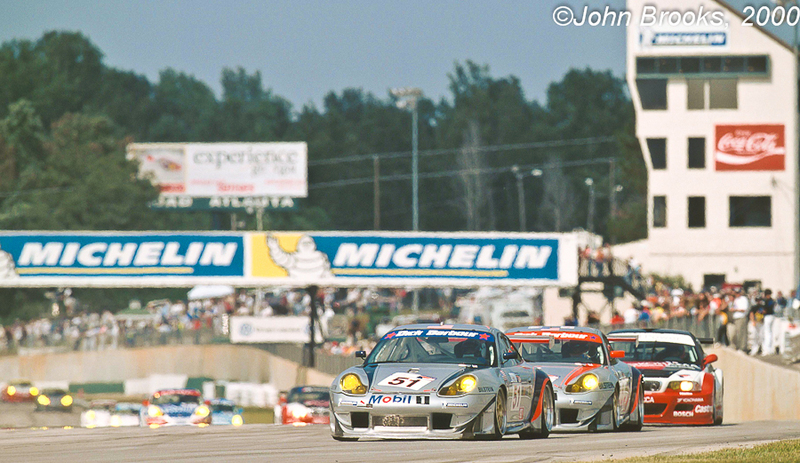 JB: 1999, your first time at the 12 Hours of Sebring what do you recall? 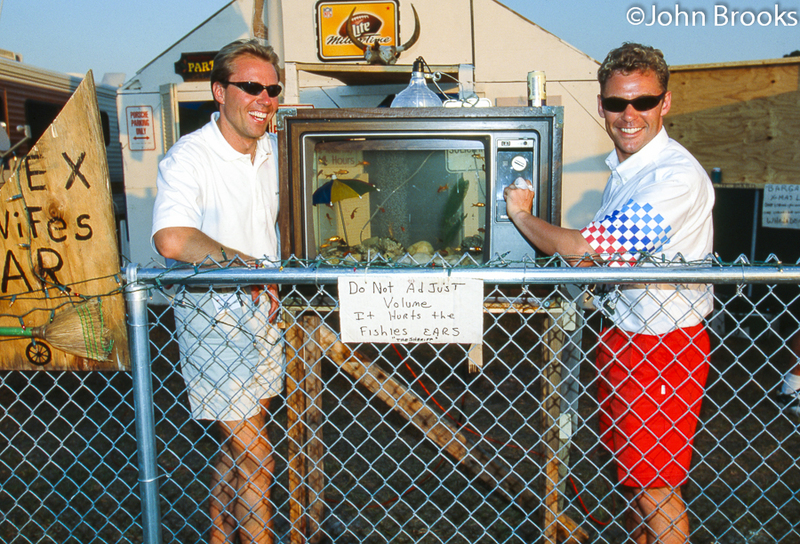 TK: My first race was with BMW in 1999, with Jörg and JJ. 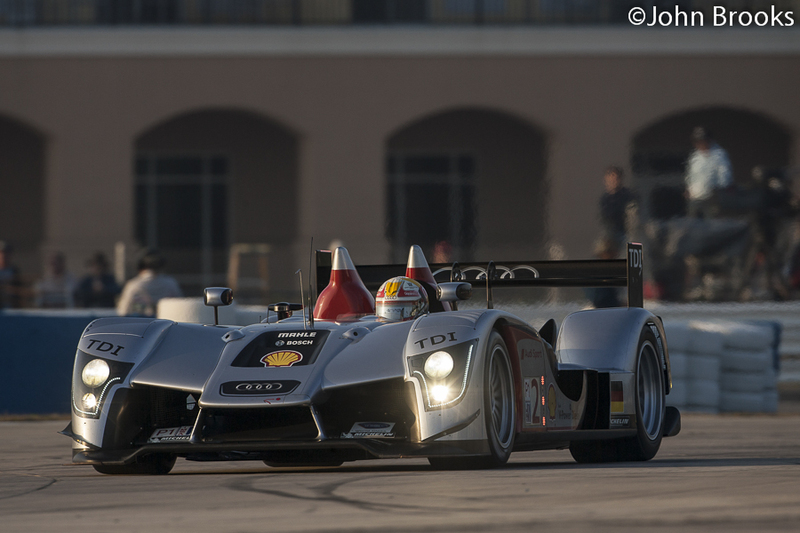 We had tested at Homestead the week before to prepare our new car, primarily for Le Mans but also for Sebring. We had a problem with differentials, we did not have enough spares, and I know that BMW were not very keen to race at Sebring. However the team at Williams Grand Prix, who had designed and built the car, particularly John Russell, pushed very hard to go on as planned. In fact we had some new differentials flown in as late as Thursday as all we had were the units that were actually in the cars. Then we got to the race and it was certainly an eye opener for me to drive on the historic circuit. 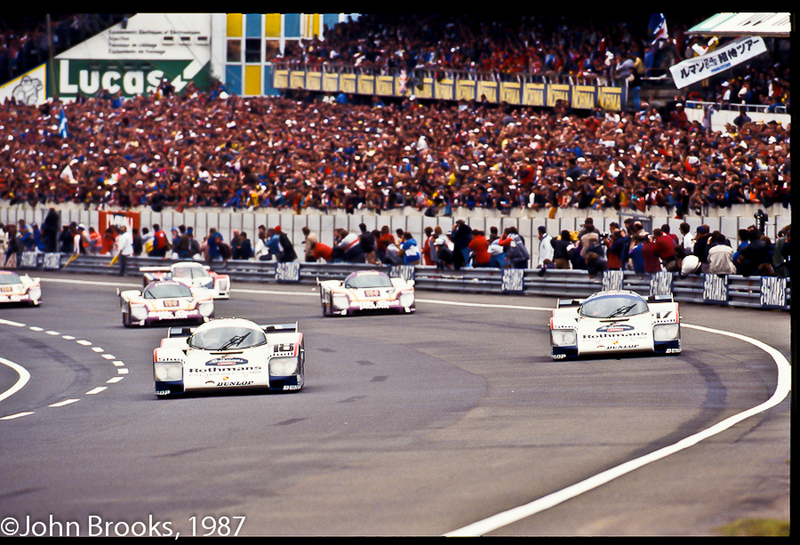 I remember that there were quite a lot of Yellow Flags, a lot of cars had problems and went off. I recall that the whole section of the track from Turn Ten to Turn Fourteen was full of sand towards the end of the race. Of course James Weaver was pushing very hard, he is a guy who never gives up and really put pressure on me. I drove the last stint to finish the race and we scored the début win of the BMW V12 LMR, which was a big step forward from the previous car. 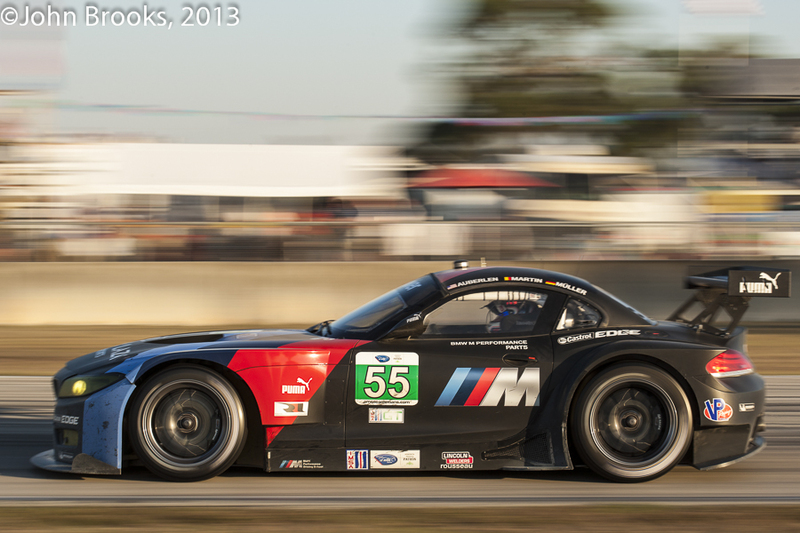 So that then became a trend for the manufacturers to go to Sebring both to race and test in preparation for Le Mans. One thing I do remember about 1999, we were waiting I think for the arrival of the spare differentials and we went with a certain photographer, I guess it was Regis, I’m not sure*, out to meet the fans and especially to Turn 10. 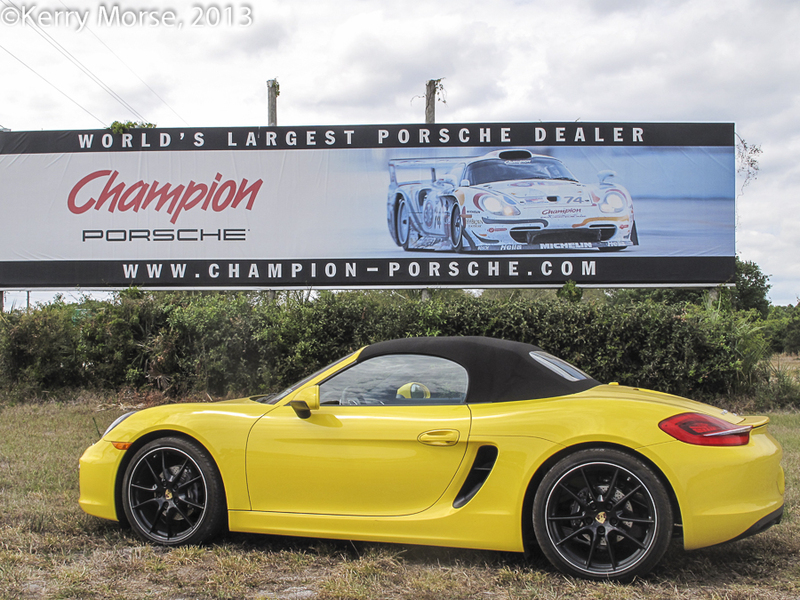 They are true fans of life and true fans of Sebring, it was nice to receive such a fantastic welcome. I always try to wave to the crowd there, either under a yellow flag period or on my in lap, to show my appreciation of Turn 10. 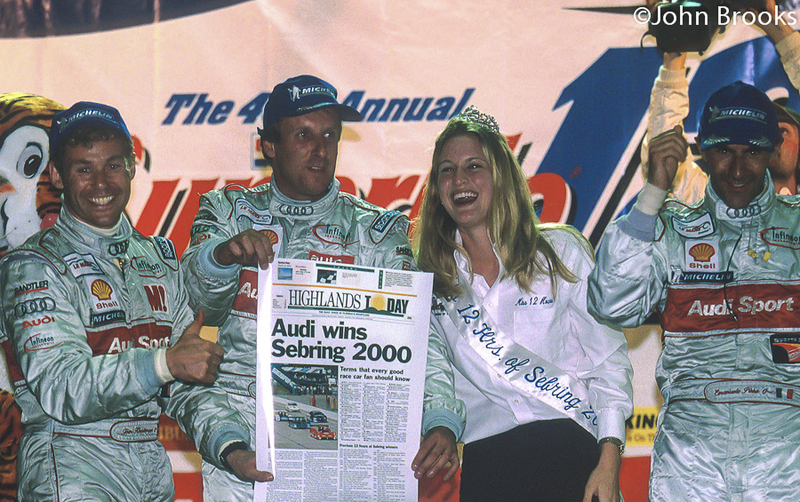 JB: Then we move on to 2000, and your first race with Audi……………. 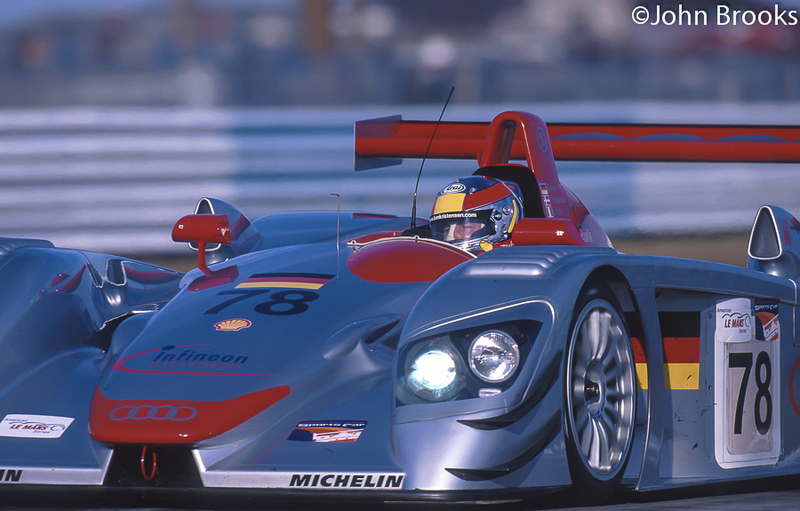 TK: In December 1999 I was at Sebring again driving an Audi, it was an interim car between the ‘99 car, the R8R and the R8, which went on to be so successful. The interim car had the rear end of the R8. JB: One thing that I remember from 2000 was during one of the practice sessions you burying the R8 into the tyres at Turn Three, do you recall that? JB: Still despite the red face the race turned out OK and it was a great win for Audi, their first at Sebring and the first for the R8. 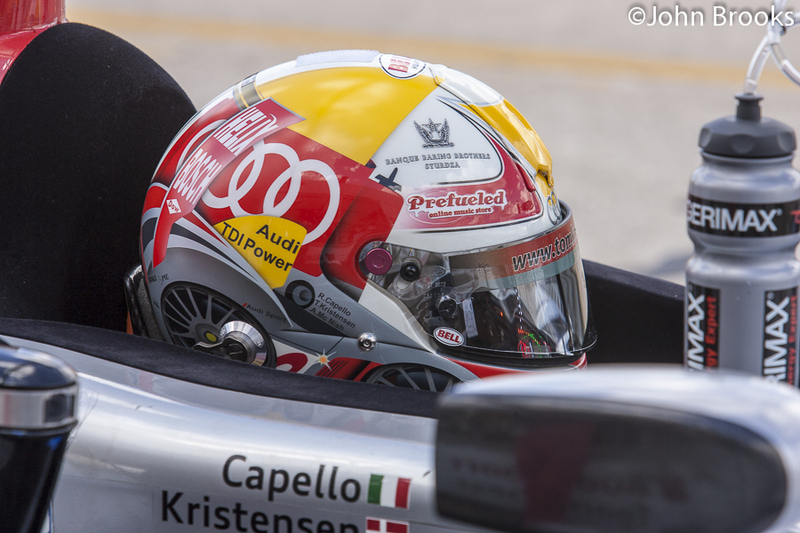 TK: Audi had learnt a lot from their first race there the year before, Sebring nails down any challenges or issues that you have with the car. Of course Joest and Audi are particularly good at dealing with such issues and the information and feedback that you get from Sebring is so valuable, there are five or six different types of tarmac around the track and that gives car and driver a rough time. JB: In 2001 there was a rain affected race, and your team mates Dindo, Laurent and Michele just managed to beat you in a close finish. TK: Actually I was very disappointed that time, we had a great race and it seemed that Dindo and I were often on track against each other. I remember that we were actually leading but in the crucial time of the race, I came into the pits too fast so got a Stop and Go Penalty which dropped me behind Dindo and, despite pushing very hard, I could not catch him before the end of the race. Yes it was a disappointment because it was solely down to me. JB: It was Michele’s last victory. TK: Yes, and it was certainly deserved and in that sense it is much better to look back at the race with that fact in mind. JB: 2002 was a completely different race because the heat was extreme there was a problem with the car and the steering rack needed changing during the race. Of course once you lose a chunk of time in the pits your race is effectively done, especially competing against another R8. TK: No you cannot come back from that much lost time, we had the issue with the steering which I had never experienced before or since and when you need to change something like that all your plans are out the window. We had a fast car however it was not to be but Audi scored a hat trick so the race was not completely lost. 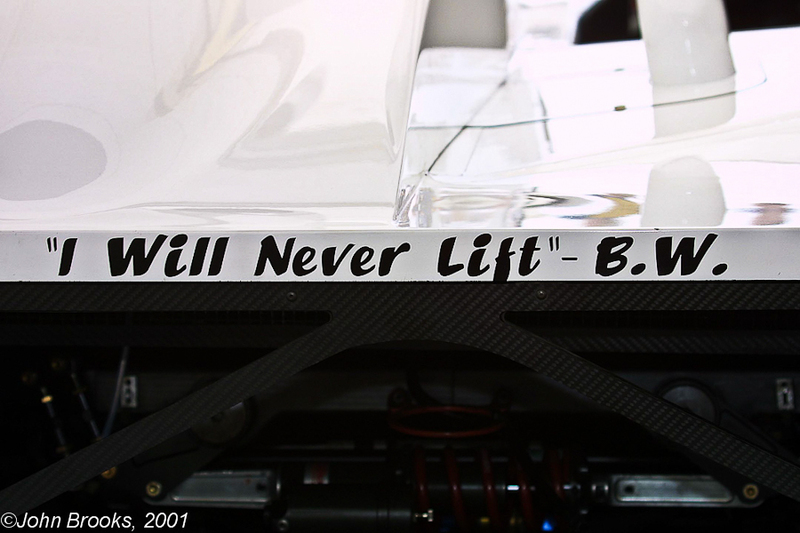 JB: In 2003 you joined the ranks of the Bentley Boys. TK: Yes, I remember that the Bentley was a hot car, certainly after the R8. The car ran really well but we had the issue of being put to the back of the grid after Qualifying and this definitely compromised our race. I think we had only one problem and that was with the brakes, we had to be very careful towards the end of the race. 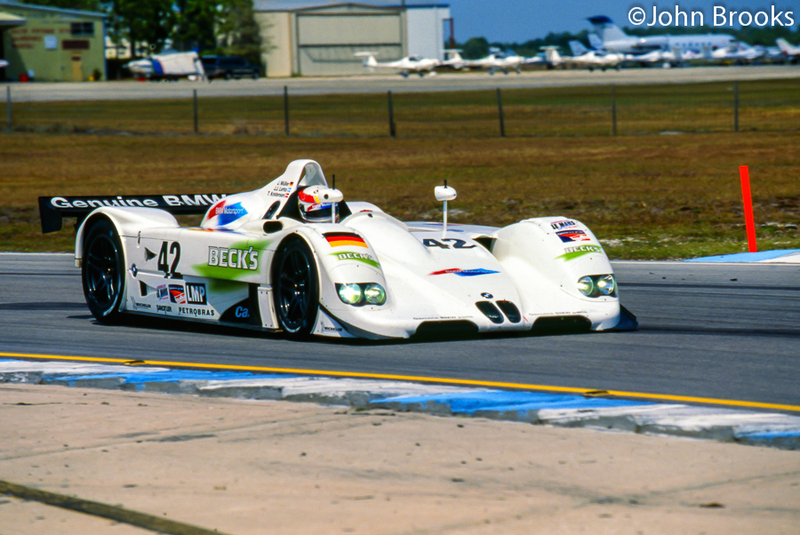 We were very focused on winning Le Mans, and Sebring was an important part of that. We had a very good debrief after the race. The Bentley was very different to the philosophy of the Audi R8. We had an Audi engine so we were safe on that side, and for the guys working on the car the Sebring race helped the team to gel. 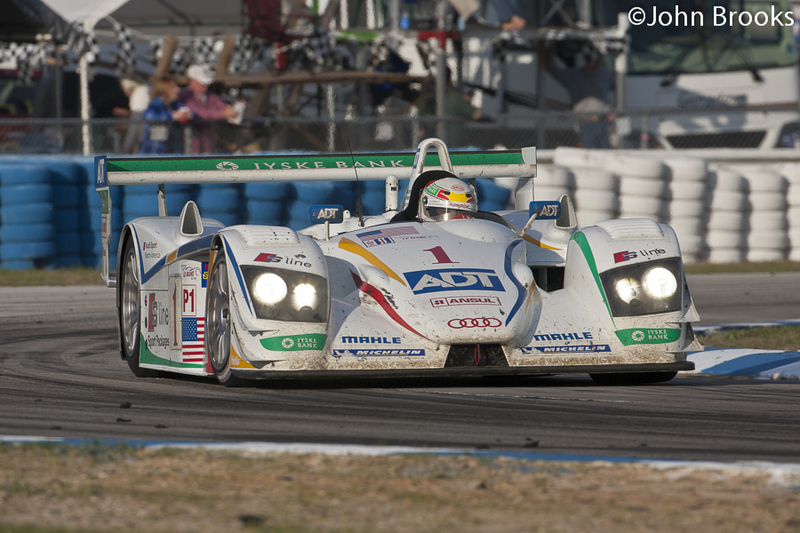 Racing at Sebring was crucial to our Le Mans’ victory. 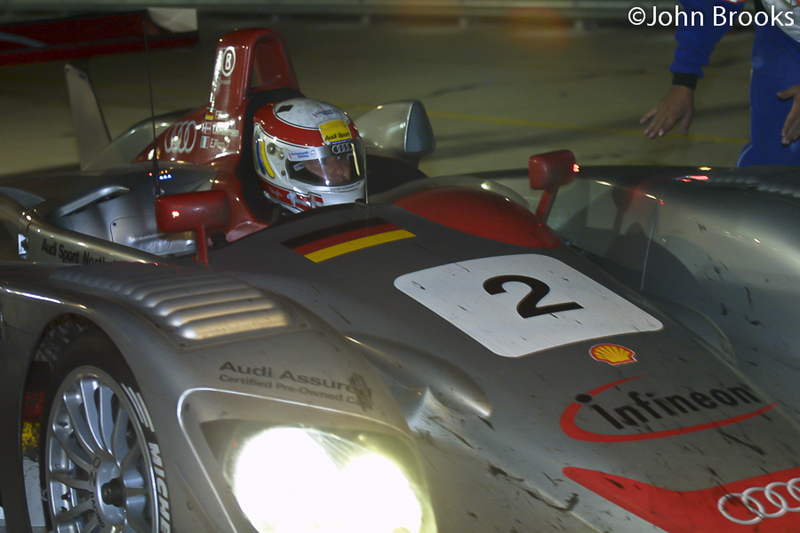 Getting both cars to the finish at the 12 Hours was really important to us in the context of our whole programme. JB: 2004, how could they do this to us? 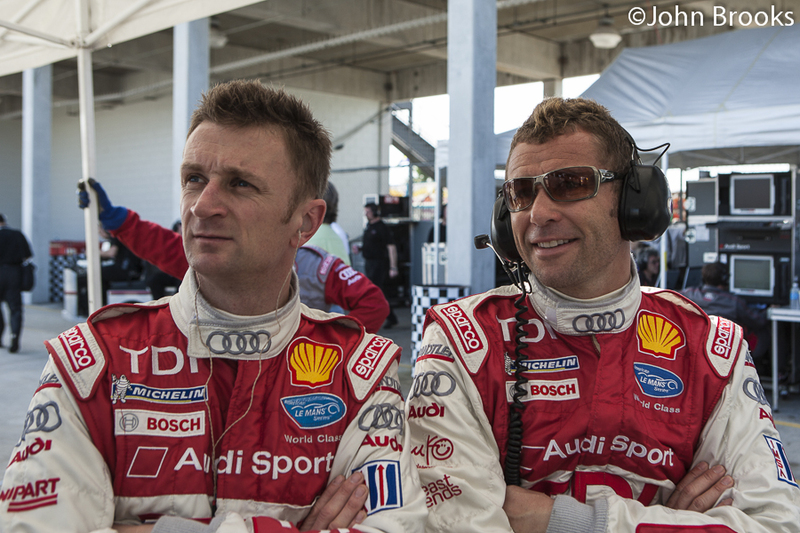 No Tom Kristensen at Sebring? 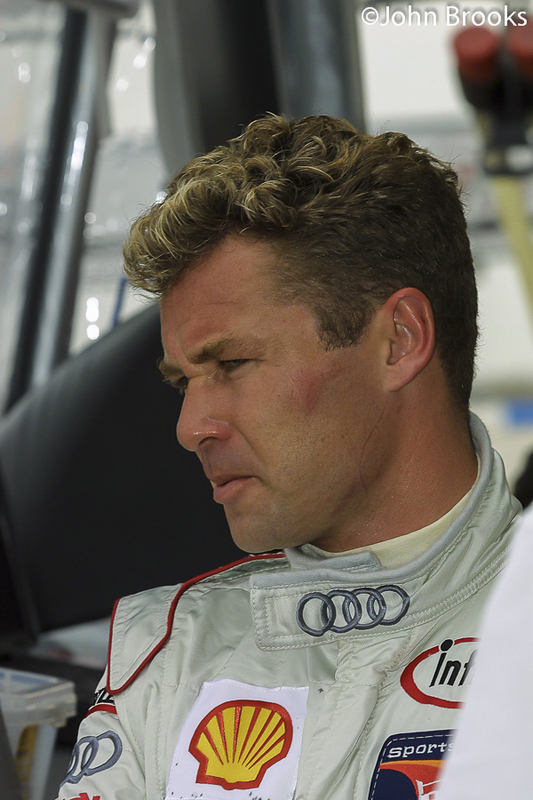 TK: Well 2004 was the year I started in DTM as that was the only factory programme for Audi that year. Dr. Ullrich offered me the opportunity to join the Audi DTM effort and I then raced in that for several years, really enjoying it. In all the years I was in DTM I just joined the endurance races like Sebring and Le Mans, keeping in touch with that side of the sport. 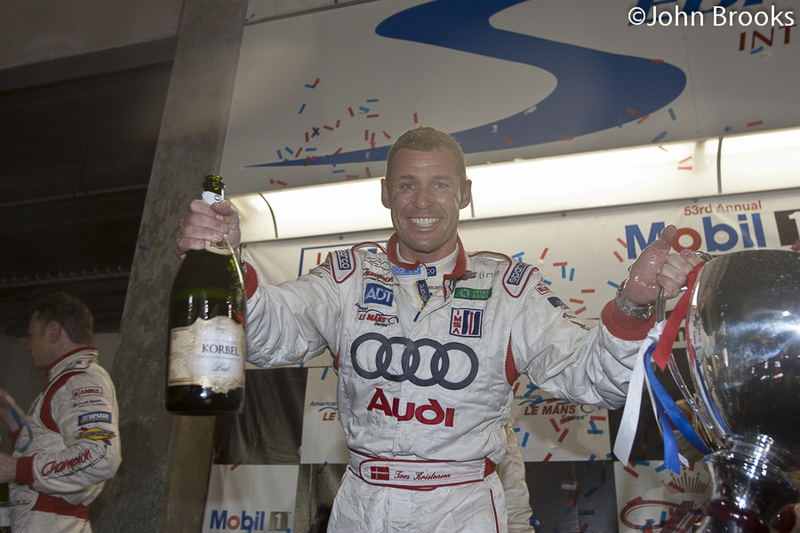 JB: 2005 you joined Champion Racing for Sebring, and Le Mans. 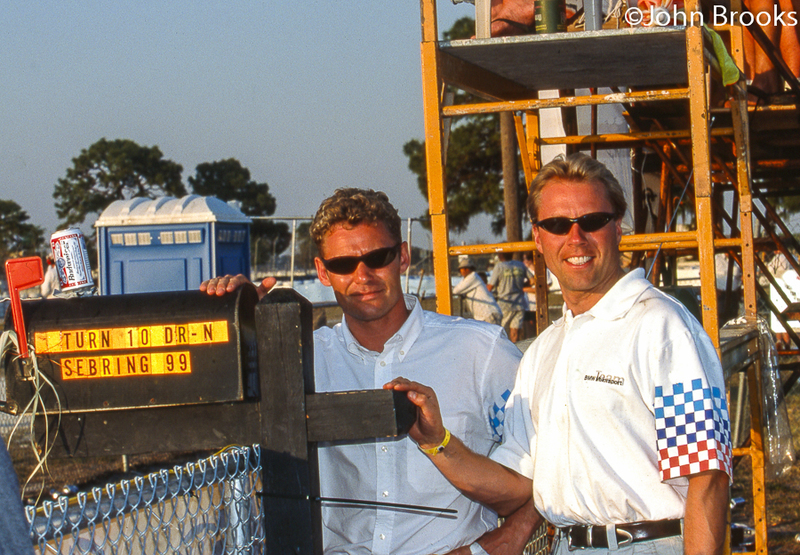 You shared the driving with JJ Lehto and Marco Werner. 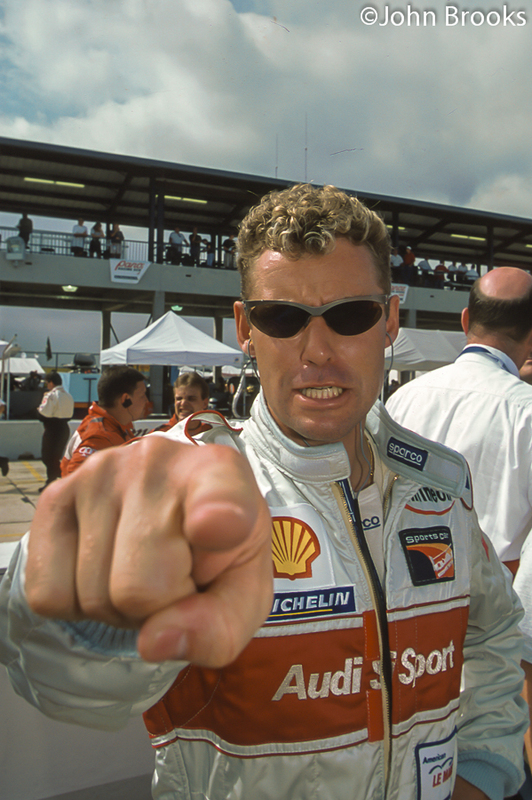 You had a big fight with Allan in the other Champion car in the last stint, you always seem to get the last stint at Sebring. TK: It was a good race between the Champion cars, all the way to the flag it was very close, the result all depended on how we played our cards. We were out of sync in terms of tyres and fuel strategies and I remember that when I was on new tyres I had to make a gap to make sure that when Allan had new tyres that he did not get too close. So the gap moved around a little especially in the last three stints. It was vital that when you left the pits on cold tyres, in particular on the penultimate stop, there was just enough grip to keep Allan back and he did not pass me. I was then on new tyres and could keep him behind and created just enough margin that when he got his last set of new tyres he was still just behind. 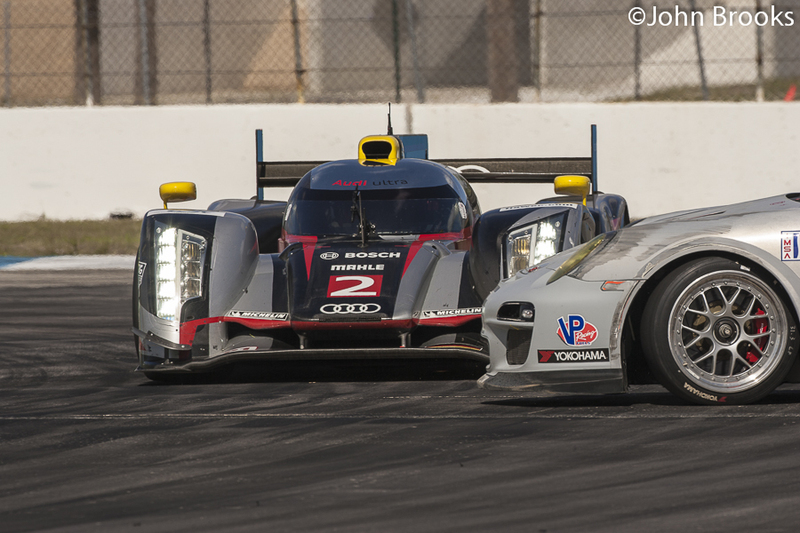 I think it was the closest ever finish at Sebring. I still have the video from Speed TV and on the last lap Allan and I were still racing hard, so as we get to the back (Ulmann) straight, I got on the radio and asked if they wanted to stage a photo finish. Brad Kettler who was engineering our car, started yelling back, “No, No, No! Keep the pedal down. Keep the pedal down” Of course I did not realise that this was going out live, and the Speed TV commentators were really laughing at this exchange. I still have the recording. JB: So then the 2006 race, the début of the diesel powered R10. TK: Yes, that was amazing, it was a big step forward for both Audi and motorsport, very important. It made the front page of the newspapers in many places. The day after the race I had Ulrich Baretzky the engine designer, as one of my passengers on the way to Miami, he was a very proud man that day and rightly so. The R10 TDI had a big engine, which meant that there were compromises in how the car was configured and also in the way that you drove it. 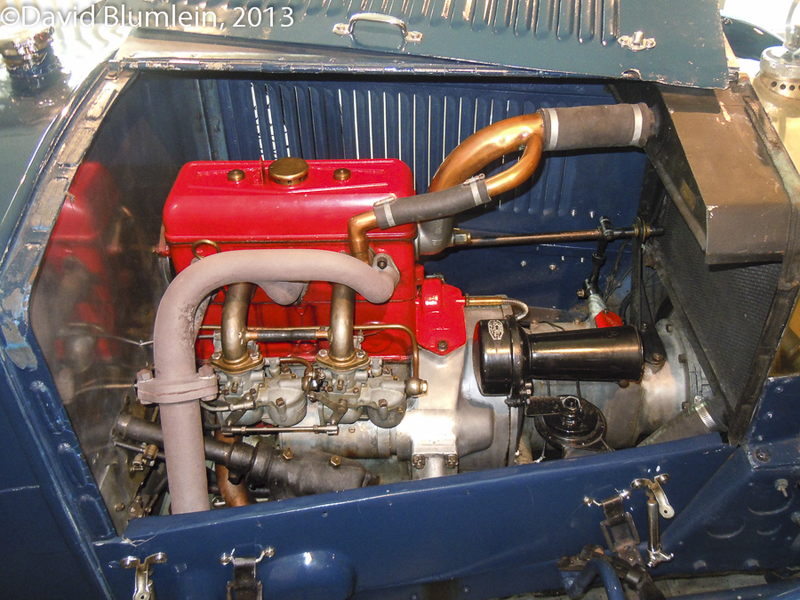 Now we have a very lightweight engine in the car but back then the V12 was much bigger and heavier. 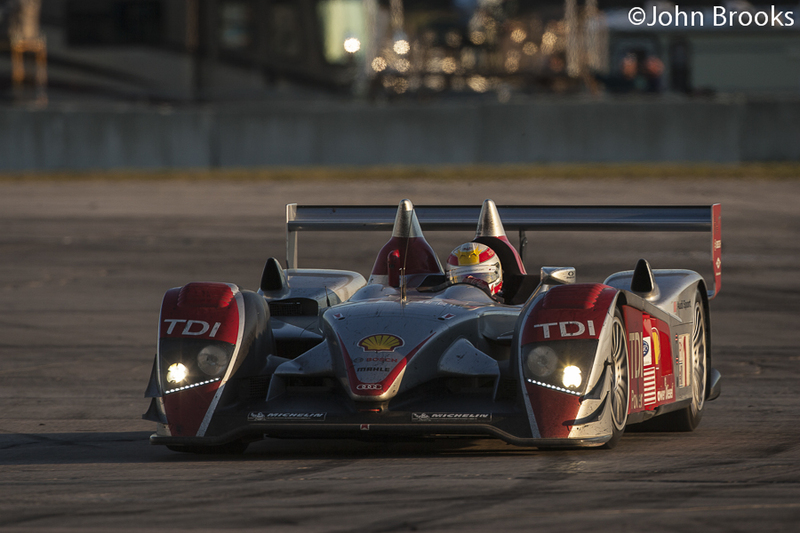 The R10 TDI was a very sophisticated car, with the very latest technology and it won its first race and that was at Sebring. TK: I’m not sure I completely remember, I think we had to go behind the wall, so we lost time and that was that. It was one of those times that Sebring gets the better of you. JB: 2008 and another difficult race, as Dr. Ullrich said at the time, the team had more problems in this one race than they would normally encounter in a whole season. Brake disks were a particular problem. TK: Well we were trying very hard, racing against the Peugeots and maybe we went a little bit in the wrong direction. That being said, the problems that we had at Sebring and how we fixed them were the basis of our win at Le Mans that year. The performance in Florida really hurt us and made us really push to the maximum to get our pride back in France. 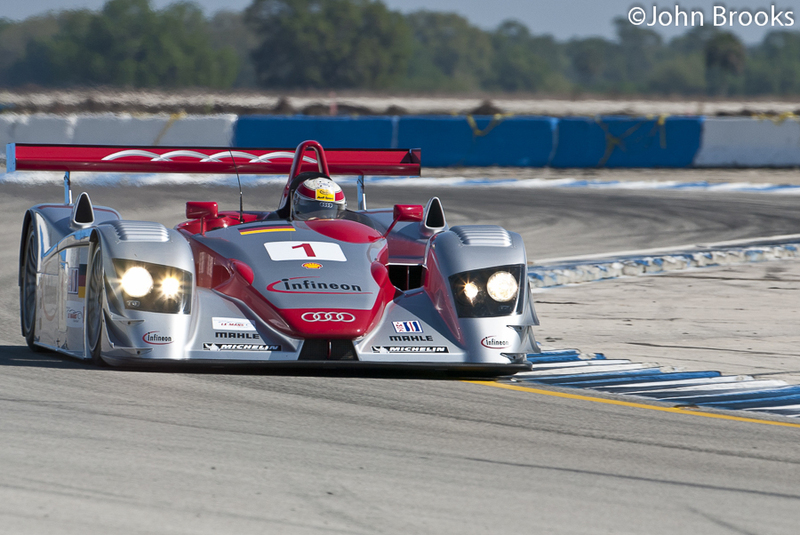 Some people consider the 2008 Le Mans to have been the best or one of the best ever, perhaps, but the determination after Sebring, in Joest, in Audi, in the drivers, everyone, was really strong. We knew that Peugeot had a faster car, but we had a car that we could race, and we thought that if we performed to the maximum we could beat them. We believed in winning when others did not, the Truth in 24 movie shows that pretty well. 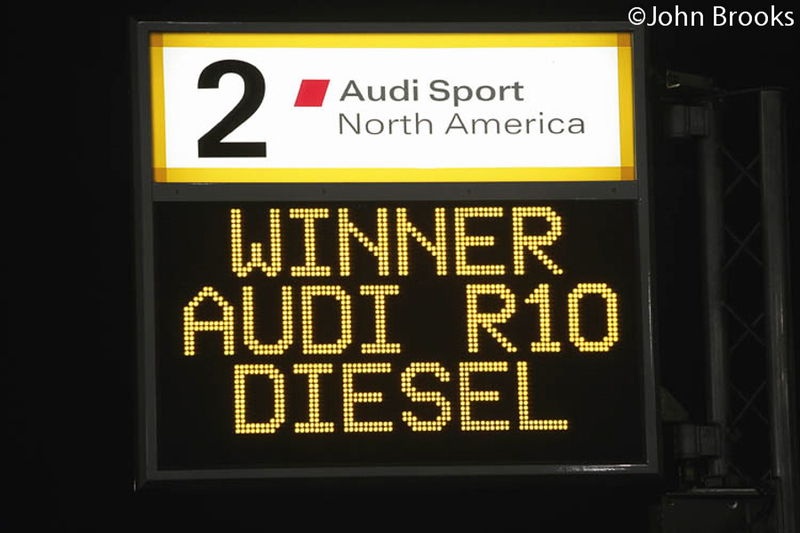 JB: 2009 another new car, the R15 TDI, and another début victory, now win number five, up against Peugeot again. TK: The R15 TDI right on the limit was delicate, so to keep it in the performance window was always interesting at a circuit like Sebring, a real challenge for engineers and drivers, so I feel that our victory was hard earned and well deserved. It was certainly not an easy win. JB: The following year the updated car, the R15+ was not ready in time for the race itself though you did go testing later. TK: I would not have been in the race, as I had injured my Achilles tendon and was in recovery mode. JB: 2011, things were going well in the race, a big battle with the Peugeots and then Dindo was hit by Gene while racing. TK: That was in Turn 17, which is very fast and that was our race done. It was a shame because we looking in good shape. 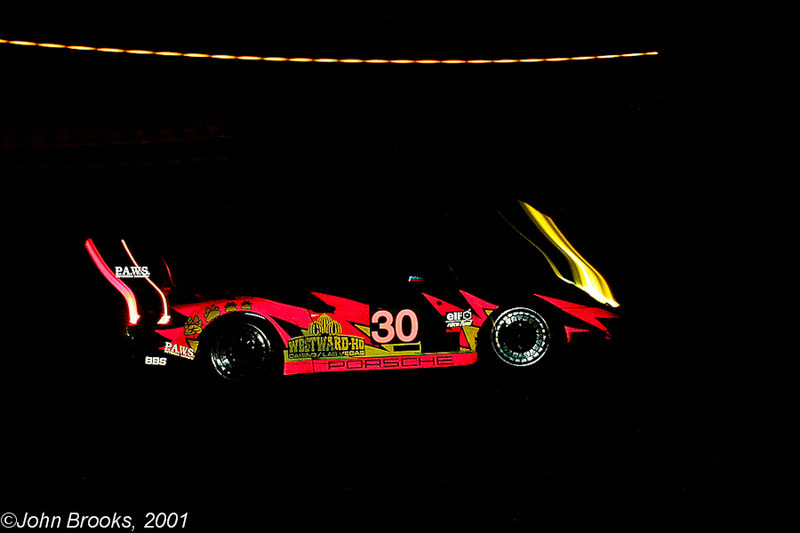 But if I recall all the factory cars hit problems and the Oreca car took the win. 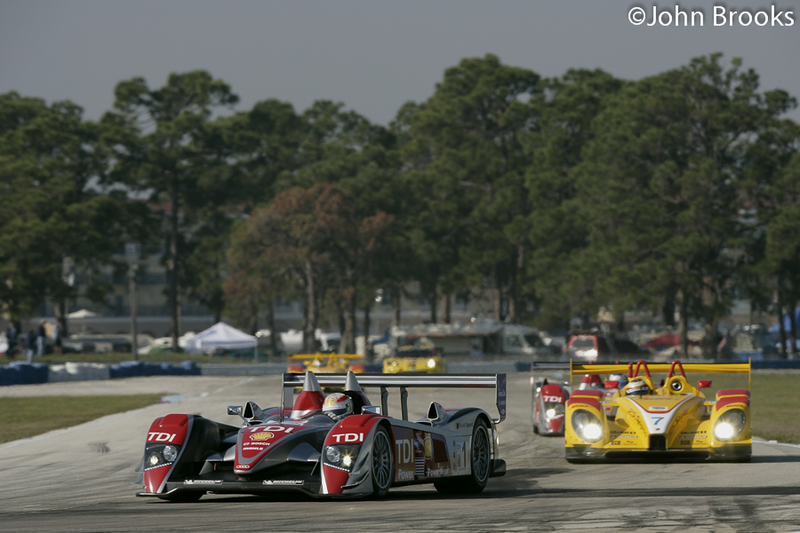 JB: In 2012 the Peugeots had gone as a result of financial problems, but on the positive side Sebring was the first round of the new FIA World Endurance Championship and it was Sebring’s 60th birthday and you managed to add to your list of wins. TK: Last year was another great race and an important one, being the first round of the FIA World Endurance Championship. It brought together, the ACO, IMSA and the FIA. 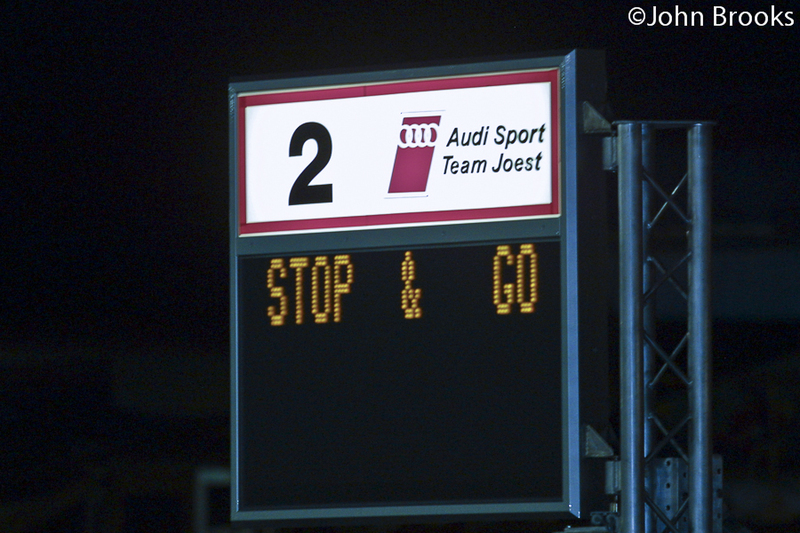 It was an honour to have won the 60th race, and it was a really big battle with our two other Audis. It made up in a way for my mistake on the 50th anniversary race. I said to Dindo on the podium, “Congratulations on your fifth victory, now you have caught me”…………then the penny dropped and he called me something rude. 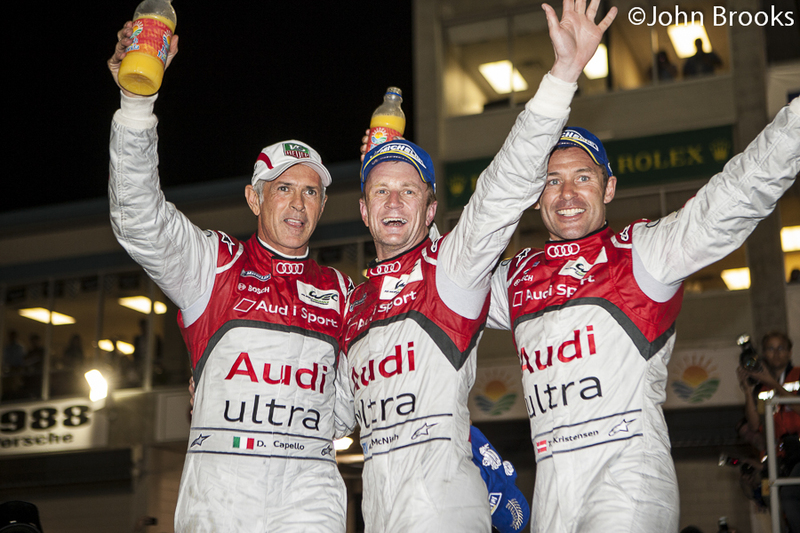 Of course now Dindo is retired but he will be in Sebring, as Allan and I always get him to pay for the espressos in the morning at Starbucks………………..
JB: If someone says to you “Sebring 12 Hours”, what do you think of? Why do you think the race is so special? TK: It is unique, even the journey from Miami through small towns of central Florida is very different from Europe, you are approaching the tradition and history that is this 12 Hour race. Famous names like Fangio and Moss were part of this rich history and then later Andretti and Ickx, all the great names of the sport have been to Sebring. So if I speak to any of these guys I can relate to their career as the track is basically the same layout as when it started. That is really cool, it is the Paris-Roubaix of motorsport, the famous traditional cycle race. To get the best set up for the track is difficult and you really need to get on it as a driver, you have to conquer the corners every lap. You have to be aggressive but at the same time be very aware, alert for traffic. 2012 was the hardest race in terms of traffic that I have experienced, as there were more than 60 cars on the grid. So you feel like you are overtaking cars every 50 metres, you are constantly overtaking. There is not much space and if you put the car even a few centimetres off line you can hit a bump which is much harder than you expect and then you are in trouble. 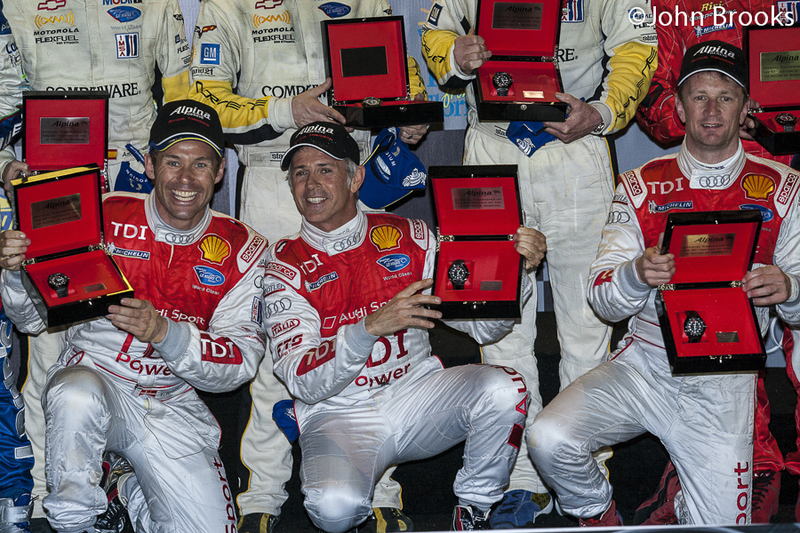 JB: You have mentioned the Sebring fans…………..
TK: The Sebring fans are fantastic, the enthusiasm they show is just like Le Mans but it is also different. Sebring has the American way and that is really cool. Another place where the fans are on the same level is the Goodwood Revival. The fans at all these events are genuine and they are there to watch the race but most importantly they are there to have a good time. They wake up in the morning and say to themselves “Hey I’m going to have a good time today” and the atmosphere where everyone feels like that is fantastic. You are in the right place at the right time. Sebring makes me feel that it is THE place to go to every March and I am very happy that Audi asked me to go again as it looks like it might be the last time that Audi and LM P1 will compete there. 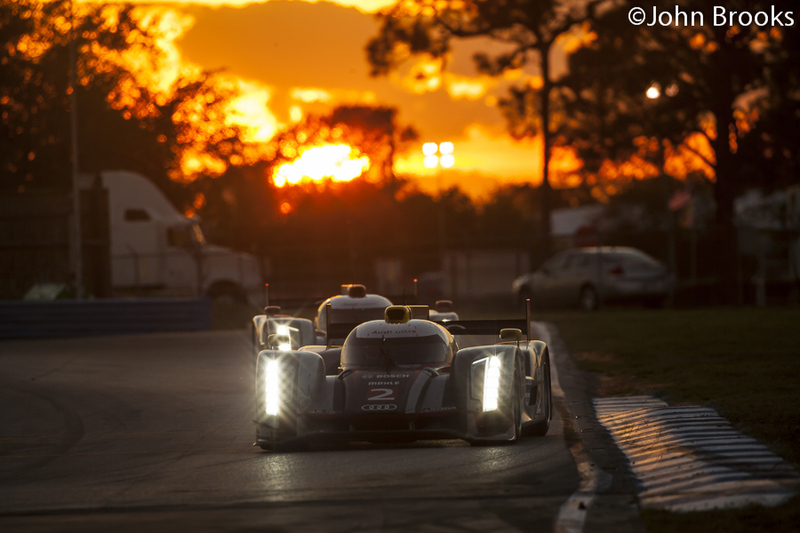 JB: Briefly what would you say your best and worst moments at Sebring were? TK: It is difficult to choose but I suppose that my first race which showed me that the 12 Hours of Sebring is very different from any other race. Then the victory last year was very special. 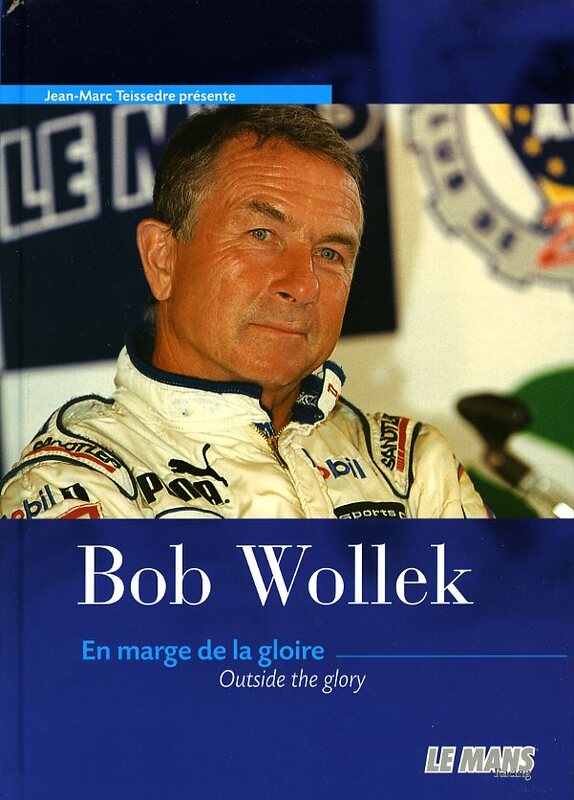 The second place in 2002 was difficult because I knew right after the Chequered Flag that the defeat was down to me, I was the one who was speeding in the pit lane and that was a very hard defeat to take. But on the other hand it was Michele’s last win and that makes it easy to get over. 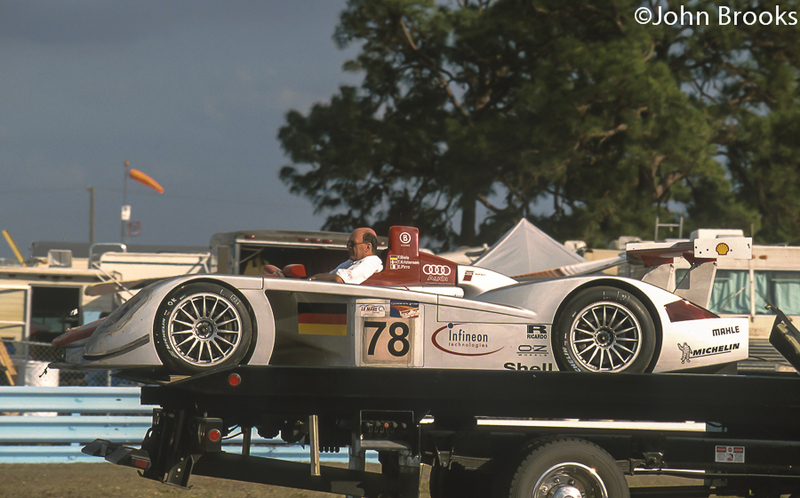 This entry was posted in Notes from the Cellar, Real Men and tagged Audi R10, Audi R15, Audi R18, Audi R8, BMW V12 LMR, Sebring, Tom Kristensen, Turn Ten on March 12, 2013 by John Brooks. It cannot be much fun these days being a writer in Formula One, blandtastic interviews with athletes who for the most part, you would not want to spend time with away from the office. OK, there is one exception and perhaps that explains Kimi’s enduring appeal, at least to the fans. The level of control exercised by the PR hacks is stifling and could explain partly why the motorsport press is in a steady decline, no one wants to read a steady diet of vanilla soundbites. Back in the 70’s it was all very different. Speaking of 70’s it is the 70th birthday today of one Arturo Francesco Merzario and that is a cause for celebration. If one man symbolises the free spirit attitude of that era, it could be said to be Little Art. He drove 27 Grand Prix for Ferrari, an Italian’s dream, but it was not a good time to be with the Scuderia in Formula One. Sportscars, however, was another matter. As a factory pilot for both Ferrari and Alfa Romeo he scored victories in the classics at Nürburgring, Targa Florio, Spa, Imola, Kyalami and Monza. The hat and the cigarette, and the elegant lady on his arm were all part of the image. I last saw Art a couple of years back at the Nürburgring 24 Hours, he was racing with a few mates from Italy, just enjoying an opportunity to drive on one the greatest tracks of them all. 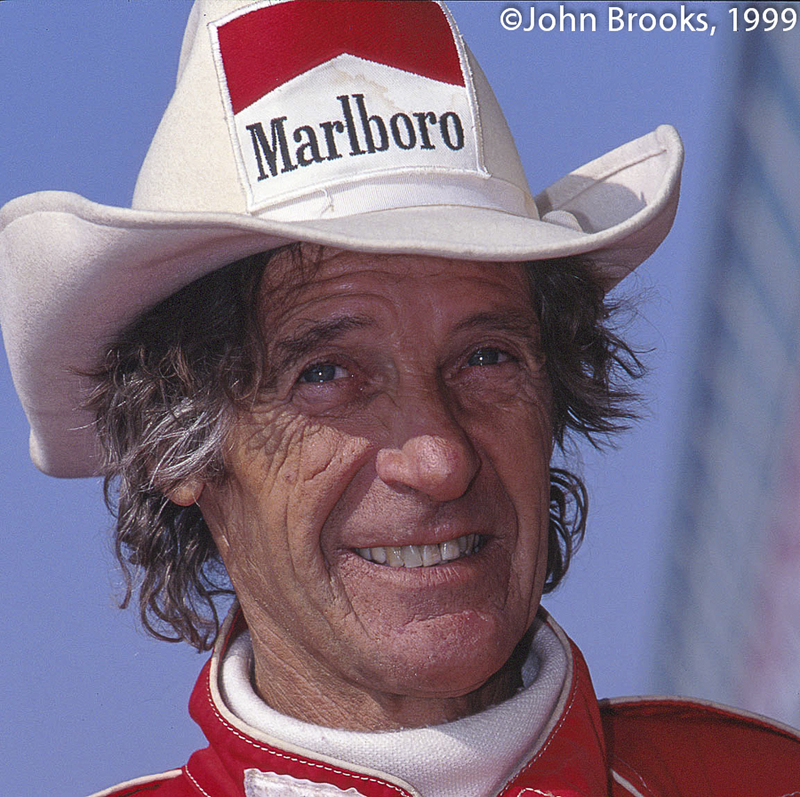 It explains his popularity, the money meant nothing, it was always about the racing, and those of us outside of the Paddock Club could sense that, he was one of us. So salut Arturo and many more to come! This entry was posted in Mamma Mia!, Notes from the Cellar, Real Men and tagged Arturo Merzario on March 11, 2013 by John Brooks. 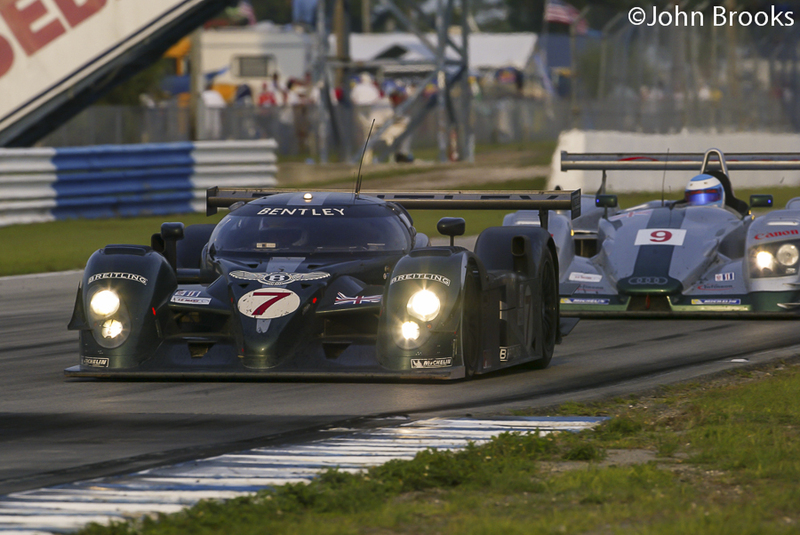 2005 at Sebring, we witnessed a mighty contest in the GT1 class, Corvette, Aston Martin, Maserati, Ferrari, Saleen and Dodge all came to the party. 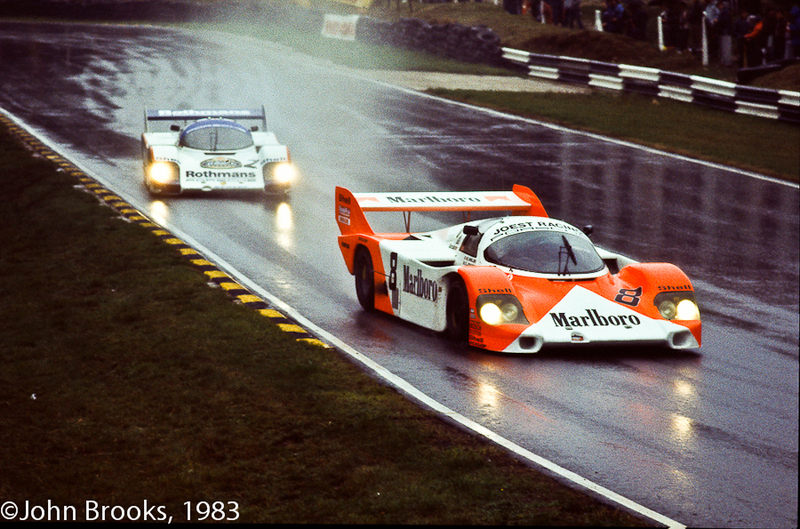 Aston Martin Racing scored their first victory over the Corvettes, a real achievement…………hazy days on the runways. 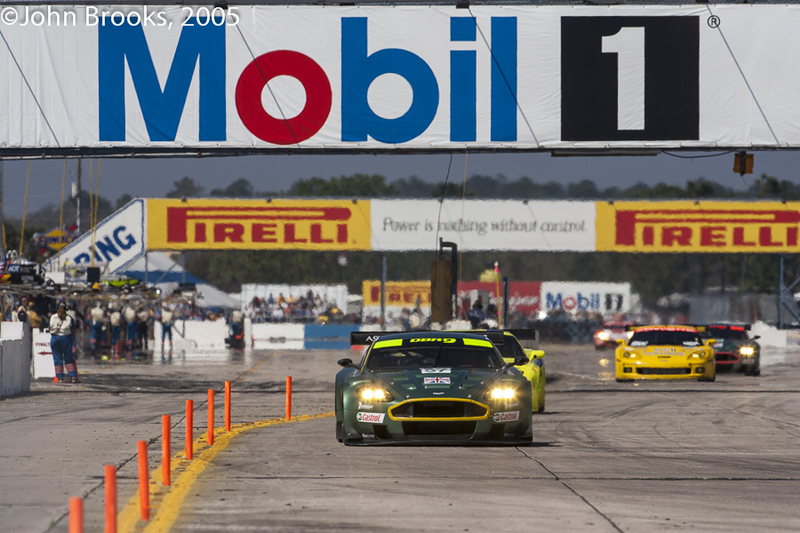 This entry was posted in Nostalgia, Notes from the Cellar, The Blink of An Eye and tagged Aston Martin DBR9, Corvette, Sebring on March 3, 2013 by John Brooks.